Stuttgart. 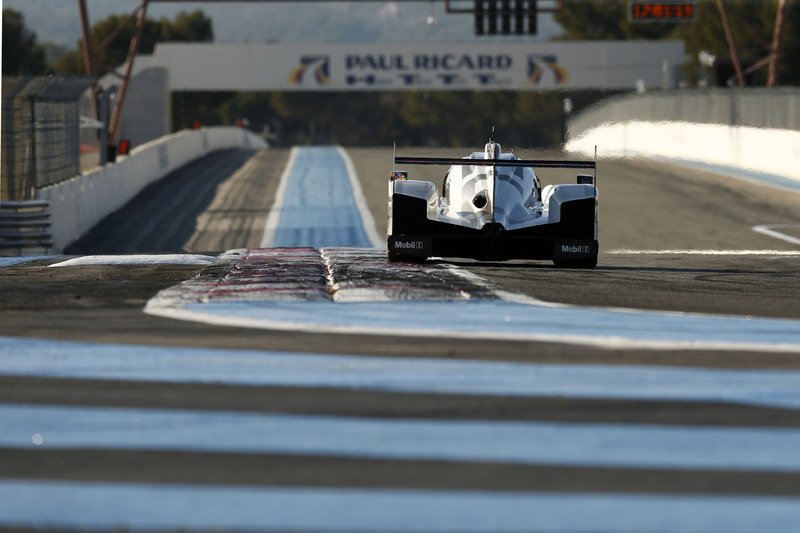 The Porsche Team enjoyed two intensive days of testing with the newly developed 919 Hybrid, entered in the top class of Le Mans Prototypes, during the official Prologue of the FIA World Endurance Championship (WEC) at Paul Ricard. 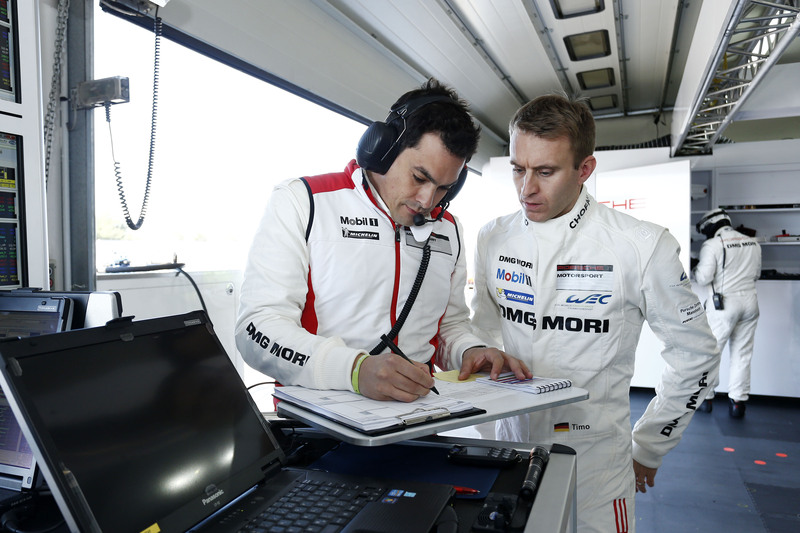 It was the first time the Porsche Team had shared a test with the whole WEC field and was able to get a first impression about the differences in speed between the various classes. 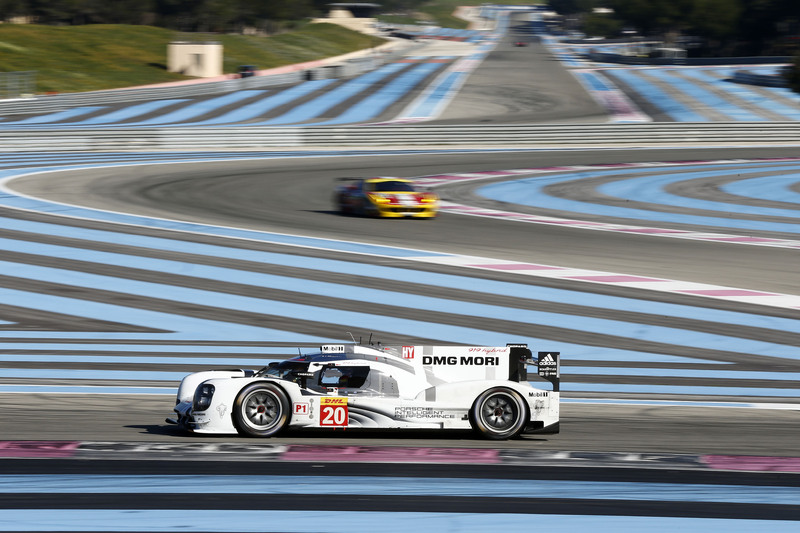 On the 5.791 kilometre long track the difference between the overall fastest lap of the LMP1 car (1:41.289 minutes, Porsche 919 Hybrid, Brendon Hartley) and the slowest GT car was around 20 seconds. 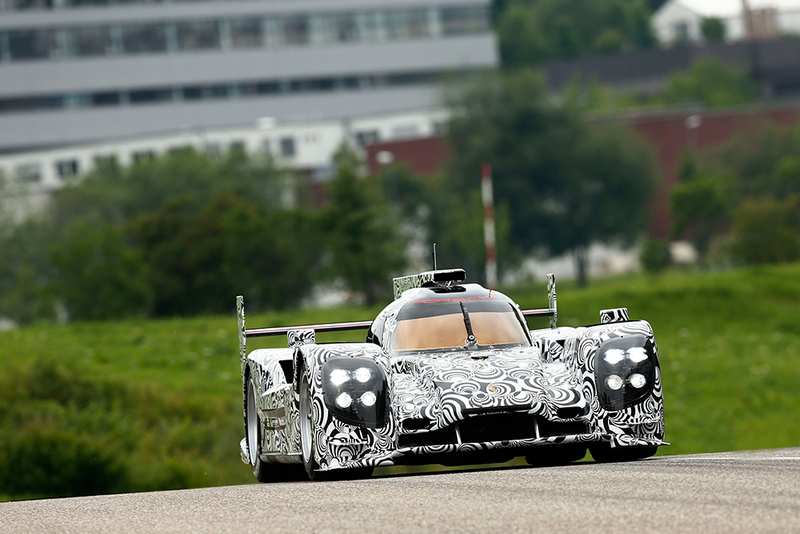 The team had another first a few days earlier on the same track when it took part in a private test with two cars. 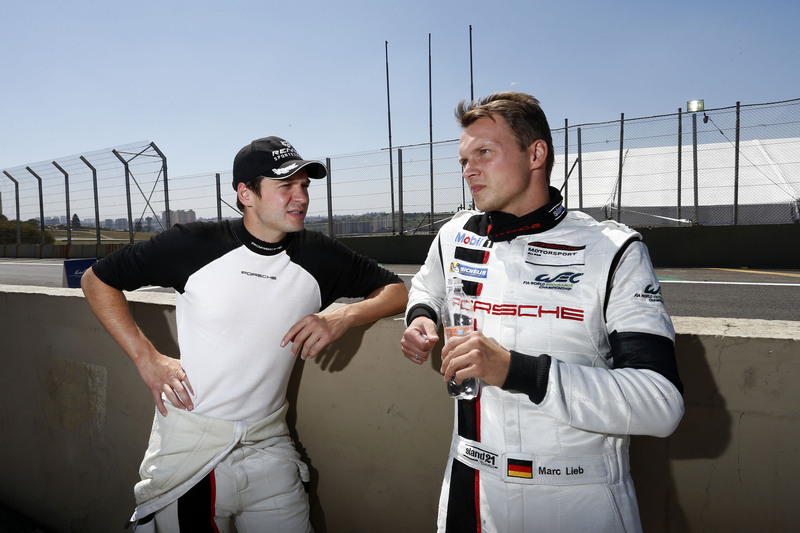 In total both driver line-ups – Romain Dumas/Neel Jani/Marc Lieb (car no. 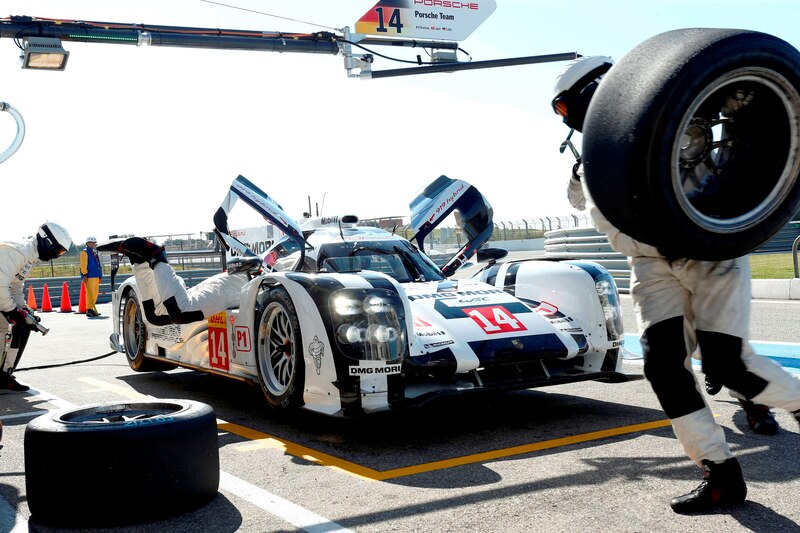 14) and Timo Bernhard/Brendon Hartley/Mark Webber (car no. 20) – completed 614 laps (3,556 kilometres) on Friday and Saturday. 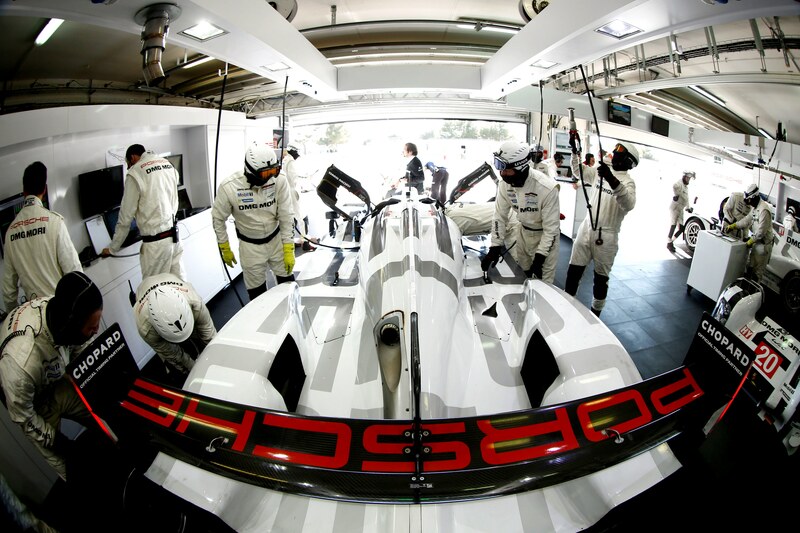 They practiced countless driver changes and worked together with the Porsche Team’s engineers to further improve the car’s set-up. Off the track another important point has been clarified. 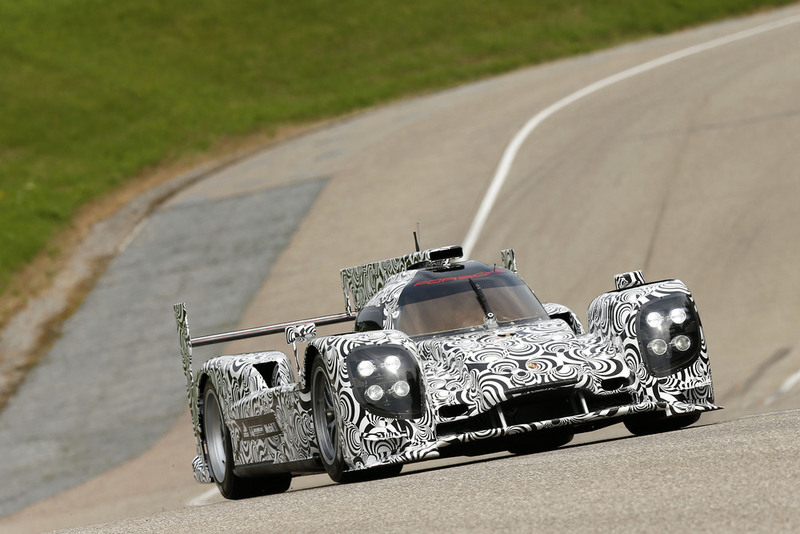 The Porsche 919 Hybrid has finally been homologated for the six megajoule class. This classification defines the amount of recuperated electrical power which can be boosted per lap. At the same time, the megajoule class defines the amount of fuel which can be used per lap. 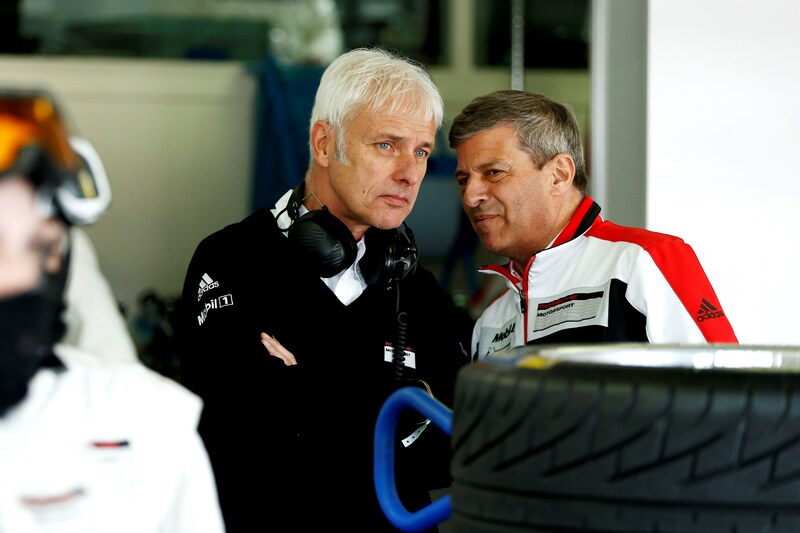 Matthias Müller, Chairman of the Executive Board of Porsche AG, as well as Wolfgang Hatz, Member of the Executive Board Research and Development, gathered first hand information about the project’s progress at the track from Fritz Enzinger, Vice President LMP1. 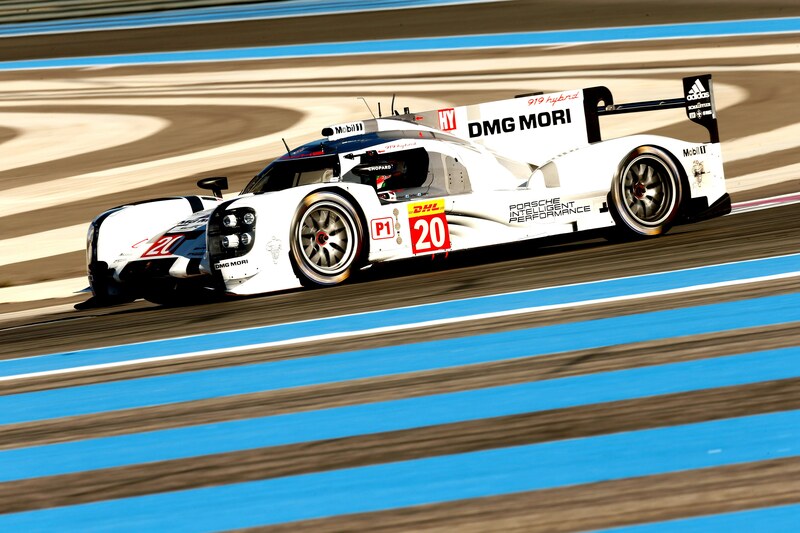 One of the attachments is the press kit for Porsche’s return to top level motorsport, including technical details of the 919 Hybrid and driver portraits. The attached video clip features current footage of the car on track and interviews from Paul Ricard and is royalty free for publishing. Further news and comprehensive TV footage material will be available for download from Monday, 31st March, on the Porsche press database. 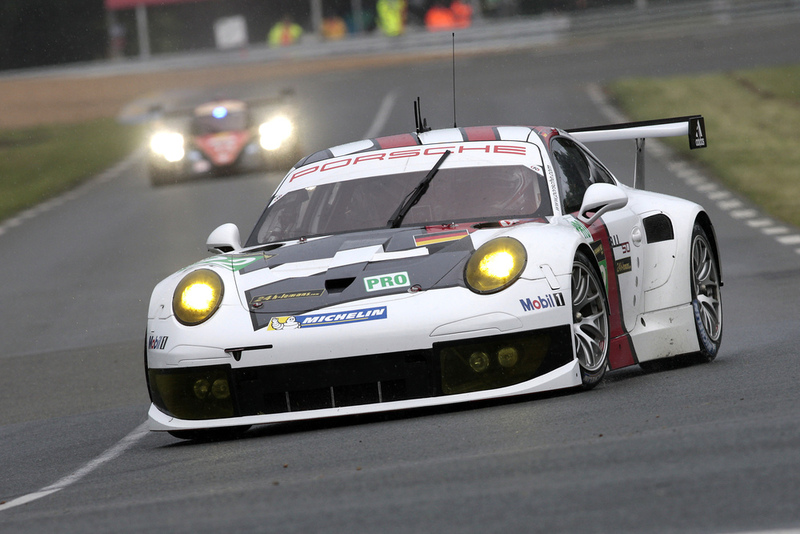 @PorscheRaces is the new Twitter channel of Porsche Motorsport. 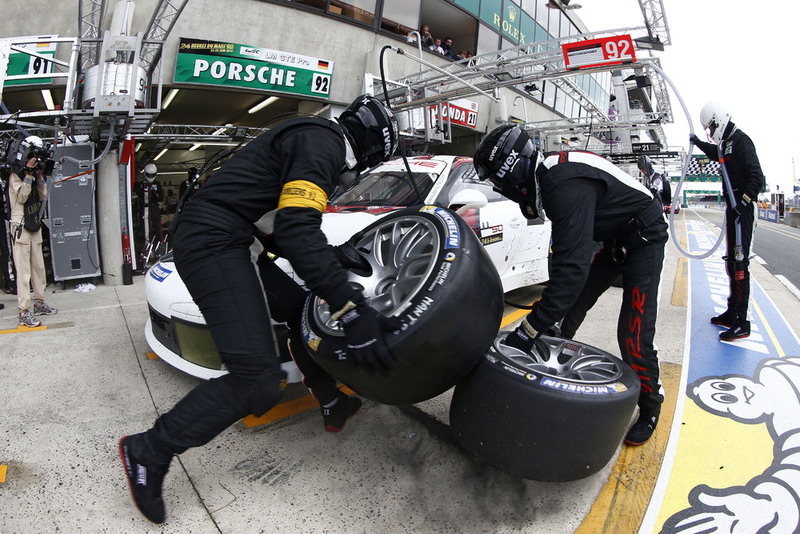 This brief messaging service informs you about upcoming Motorsport events by Porsche Motorsport, and during races it reports live from the pits about driver changes, weather conditions, tyre selections and background information. Stuttgart. 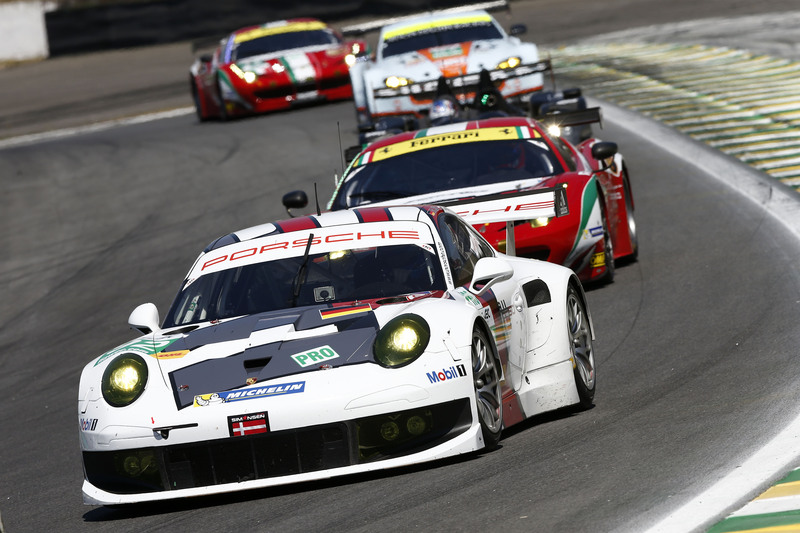 As part of this year’s sports car World Endurance Championship WEC campaign, Porsche competes for the first time on the Circuit of the Americas on 22 September in Austin. 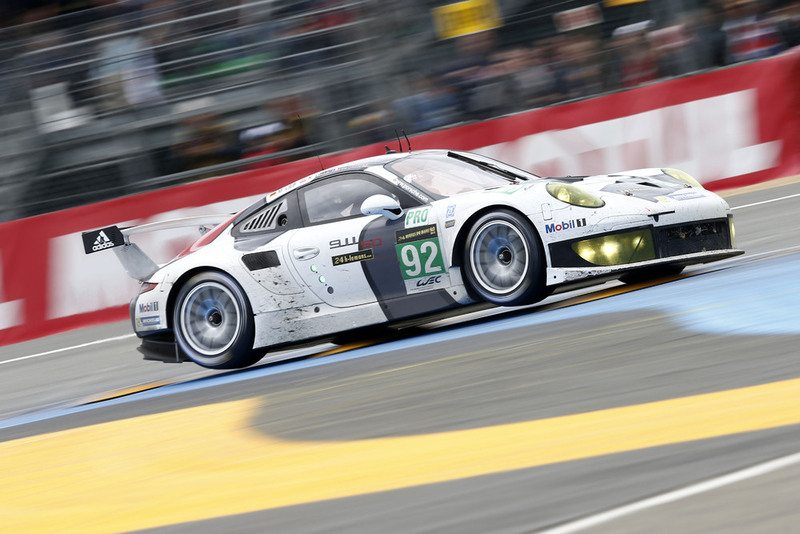 Fans in the United States can not only look forward to seeing the successful Le Mans contender Porsche 911 RSR in action, which is fielded by Porsche AG Team Manthey in the hotly-contested GTE-Pro class. Porsche factory pilots and Le Mans winners Marc Lieb (Germany) and Richard Lietz (Austria) share the cockpit of the number 92 Porsche 911 RSR in Austin. 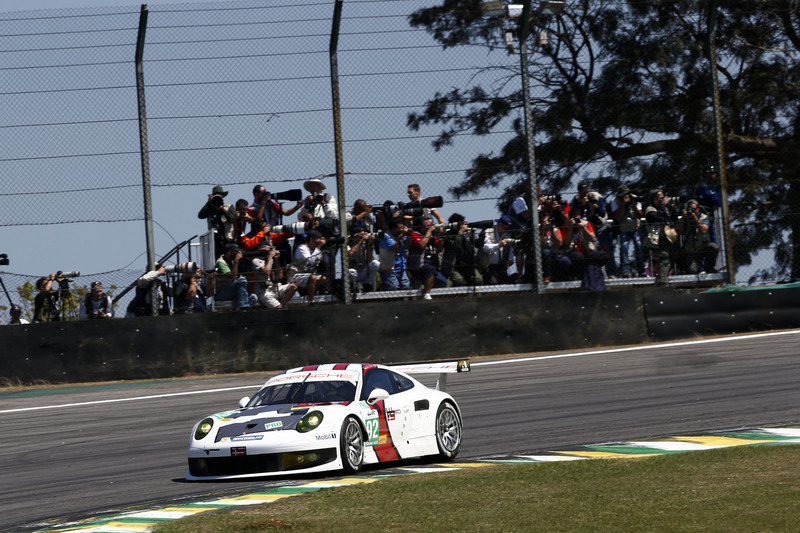 Their works driver colleagues Joerg Bergmeister (Germany) and Patrick Pilet (France), who recently scored third in Sao Paulo, take up the race in the number 91 car. In the GTE-Am class, two customer teams field last year’s Porsche 911 GT3 RSR: Driving for IMSA Performance Matmut are the Le Mans winners from France, Raymond Narac, Jean-Karl Vernay and Christophe Bourret. Competing for the Proton Competition squad is team owner Christian Ried (Germany) with his Italian teammates Paolo Ruberti and Gianluca Roda. 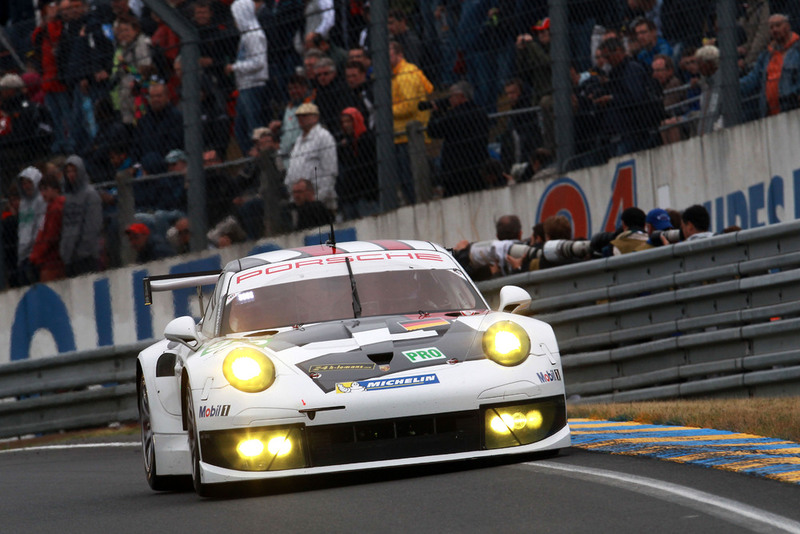 The 470 hp Porsche 911 RSR features consequent lightweight design and sophisticated aerodynamics. 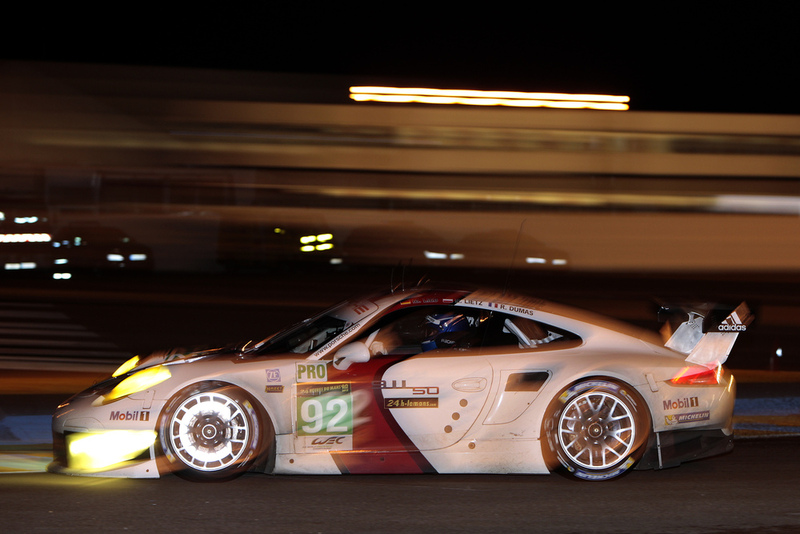 The look of the 2013 Le Mans winner (GTE-Pro) is dominated by the flared fenders and the cooling air intake at the front. The exceptional livery of the car honours the anniversary, “50 years of the 911”. As the successor to the winning 911 GT3 RSR, with which Porsche customers have scored many victories and title wins since 2004, the GT racer from Weissach is based on the seventh generation of the iconic 911 sports car. The six-hour race on the Circuit of the Americas starts on 22 September at 11.00 hours local time (18.00 CEST). Eurosport International broadcasts the starting phase live from 18.00 to 19.00 hours CEST. From 20.30 to 22.30 hours, Eurosport 2 telecasts live race action. 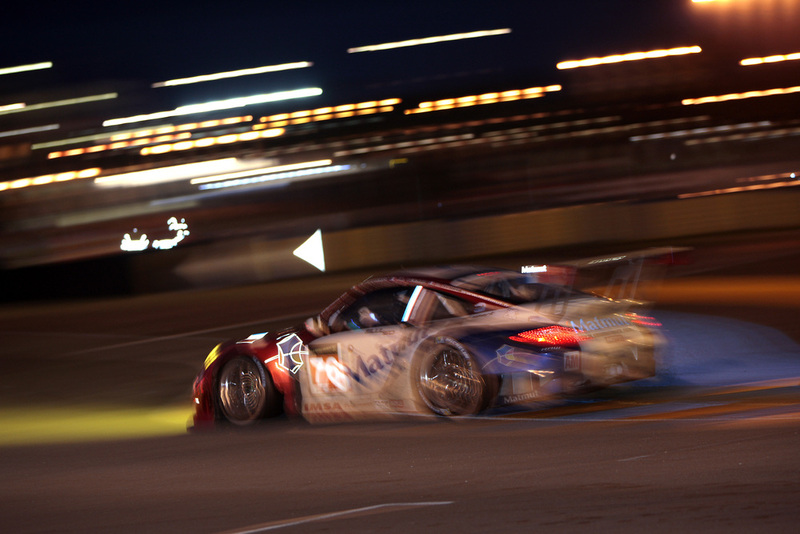 The final phase of the race is covered live by Eurosport from 22.30 p.m. to midnight. 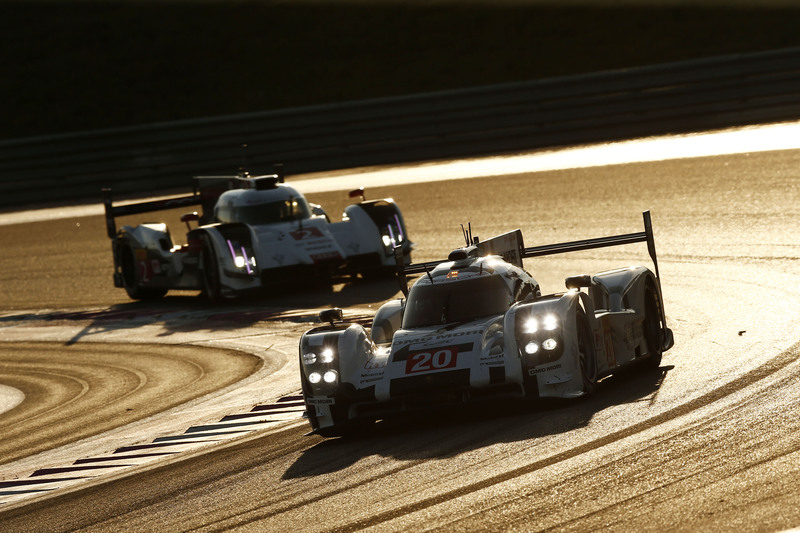 Viewers can follow the race live on the internet under http://www.fiawec.com. 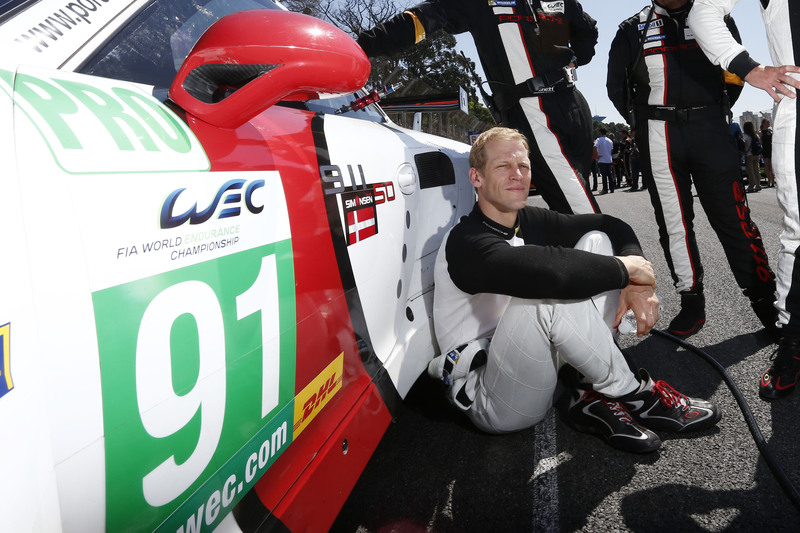 “The race in Austin is undoubtedly a real asset and a gain for the WEC. After all, motor racing has a great tradition in America. The USA is one of the most important markets for Porsche. 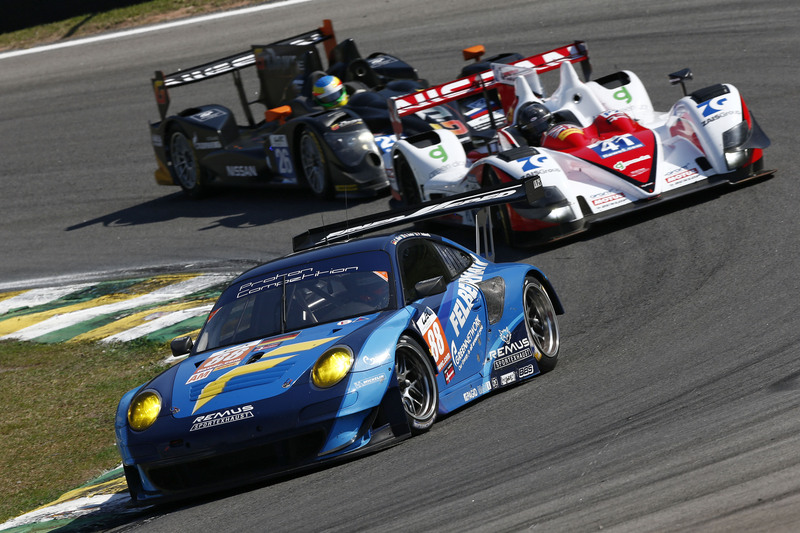 In the sports car World Endurance Championship WEC, sports prototypes and GT vehicles start in four classes: LMGTE-Pro, LMGTE-Am, LMP1 and LMP2. They all compete in one race but are classified separately. Stuttgart. 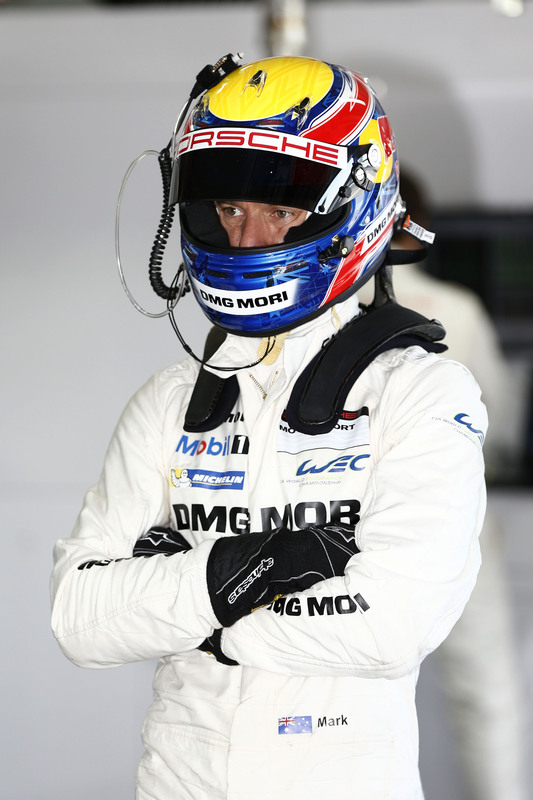 The Australian Formula 1 pilot Mark Webber has signed a contract with Porsche that extends over several years. 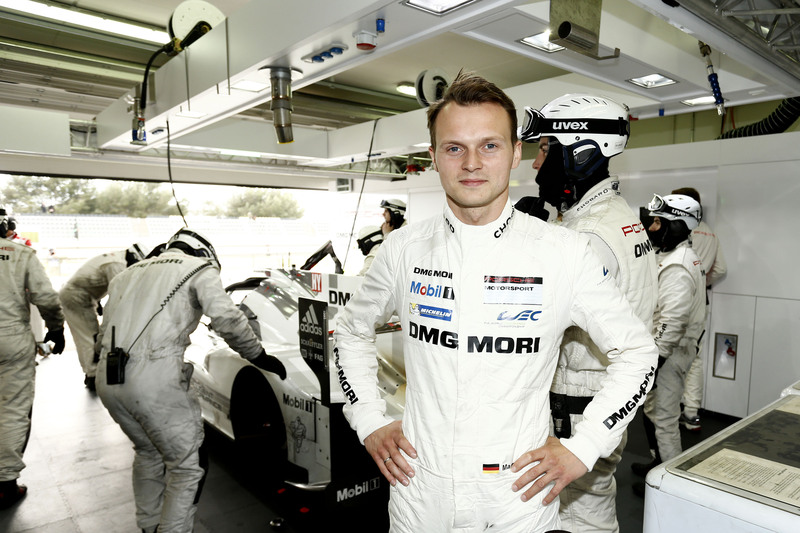 From the 2014 season he will compete in Porsche’s new LMP1 sports prototype at the Le Mans 24 Hours and in the sports car World Endurance Championship WEC. 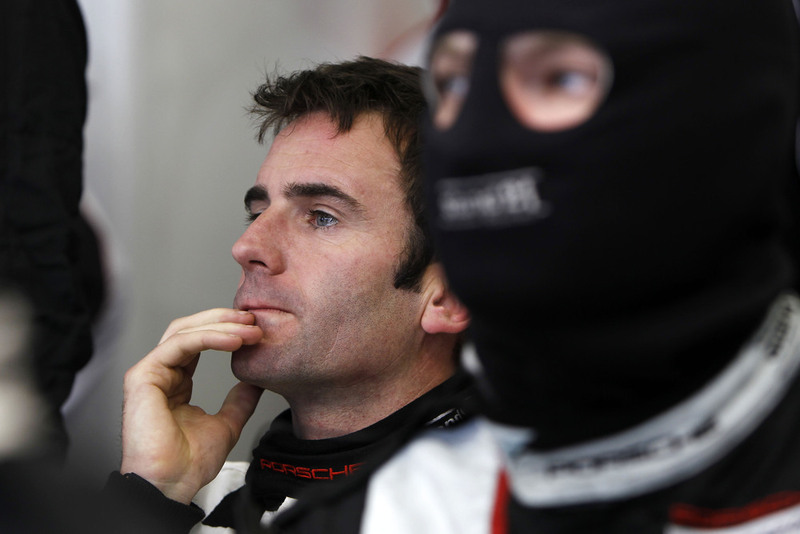 The 36-year-old Australian has already raced at Le Mans twice. In 1998 he finished runner-up in the FIA GT Championship at the wheel of a sports prototype. 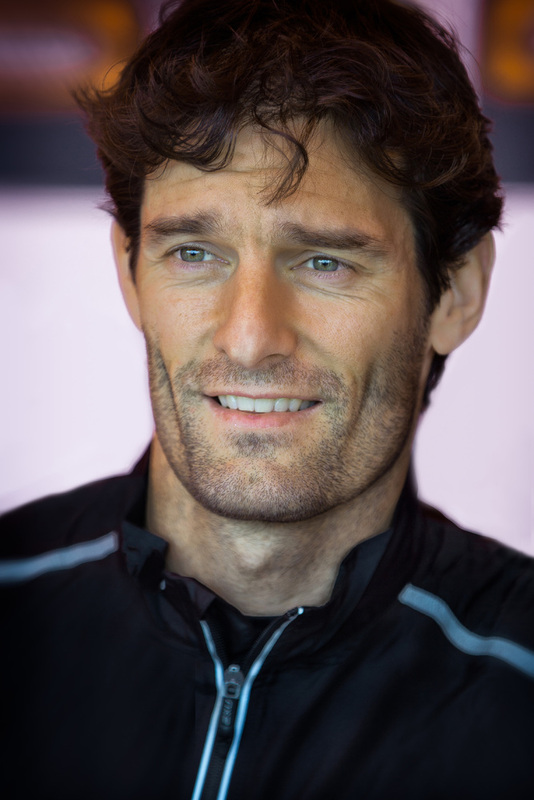 Over the course of his Formula 1 career from 2002 until today, Webber has achieved 36 podium places, nine race victories and has started from pole position eleven times. 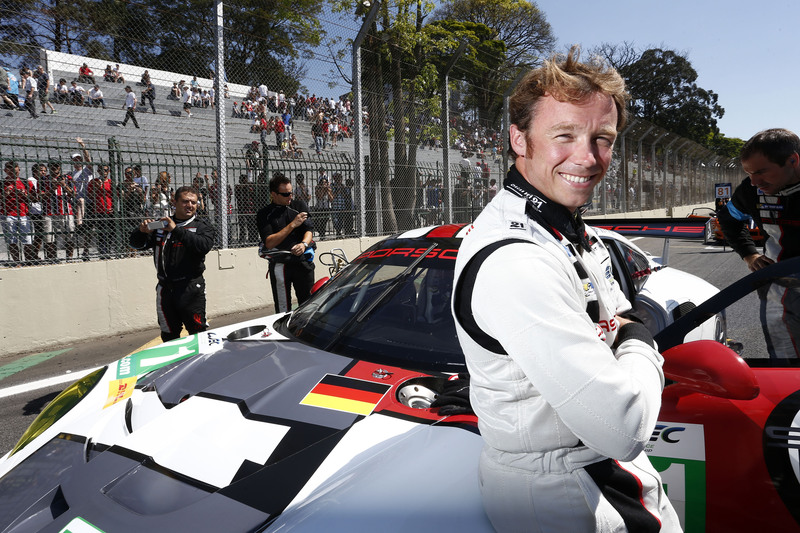 “It’s an honor for me to join Porsche at its return to the top category in Le Mans and in the sports car World Endurance Championship and be part of the team. 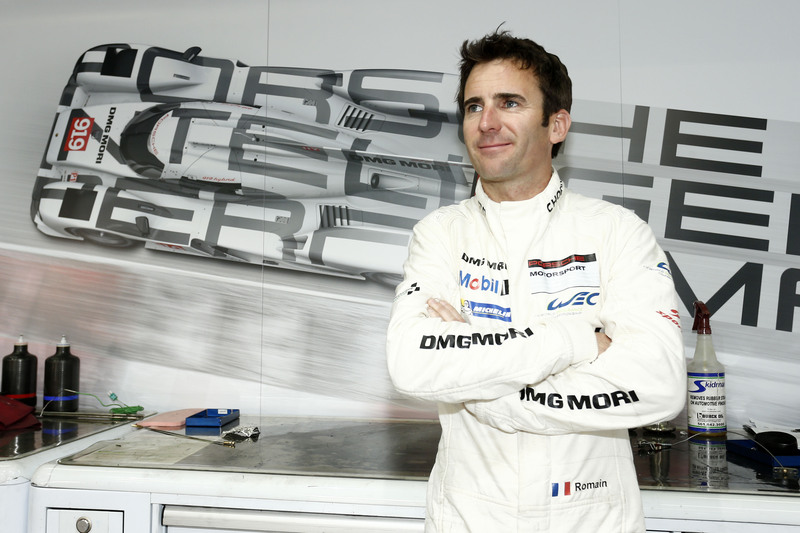 Porsche has written racing history as a manufacturer and stands for outstanding technology and performance at the highest level,” says Mark Webber. 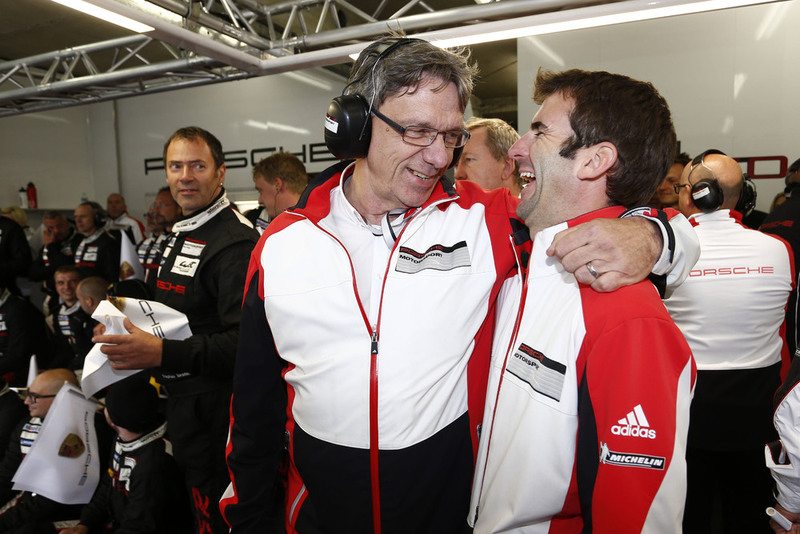 “I’m very pleased to have secured Mark Webber for our LMP1 project as one of the best and most successful Formula 1 pilots of our time,” says Wolfgang Hatz, Board Member for Research and Development at Porsche AG. 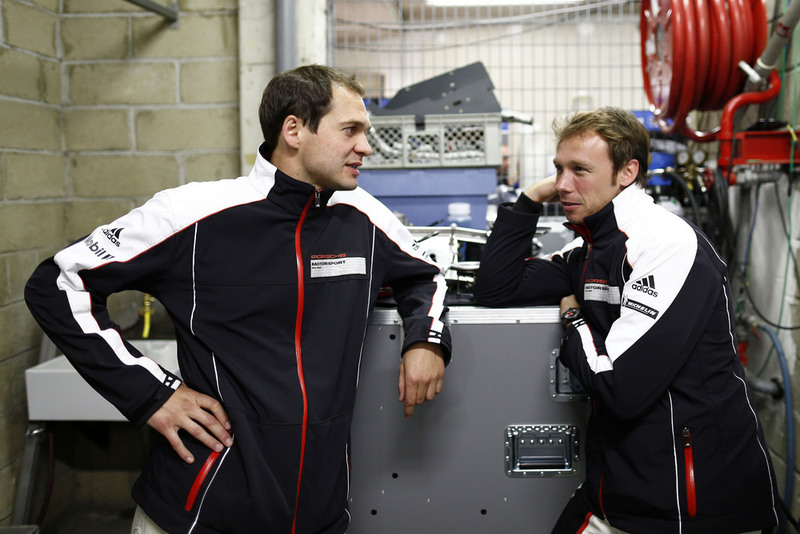 Competing in the new LMP1 car alongside Mark Webber are the two long-standing Porsche works drivers Timo Bernhard (Germany) and Romain Dumas (France) as well as the ex-Formula 1 test driver Neel Jani (Switzerland). 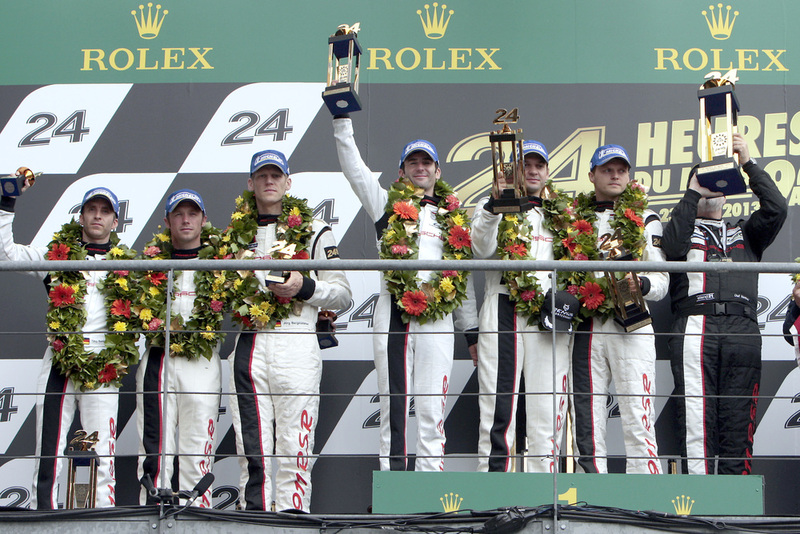 Bernhard and Dumas already joined forces in 2010 to bring home overall victory from the Le Mans 24 hour race. 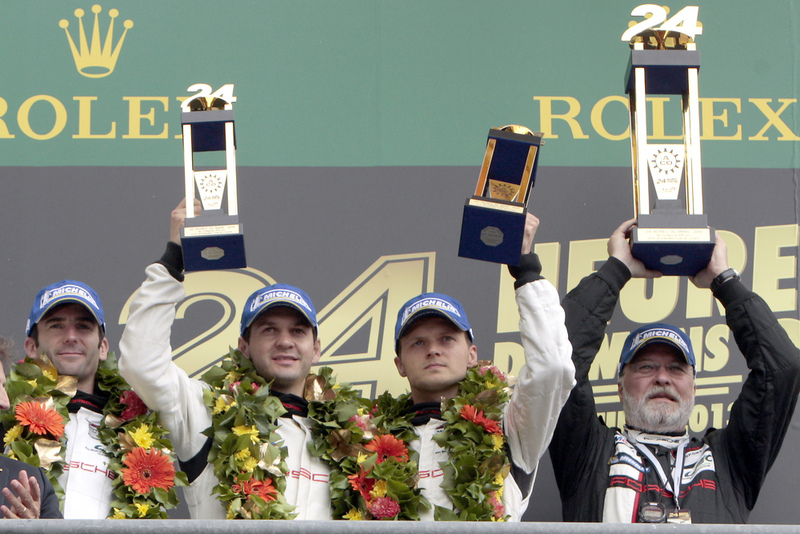 In the years 2007 and 2008, they secured the American Le Mans Series title at the wheel of the RS Spyder LMP2 sports prototype. 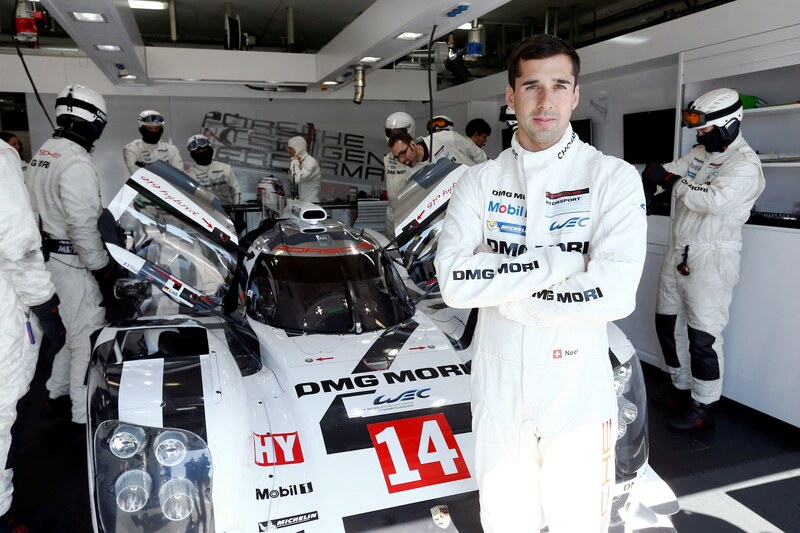 Neel Jani has contested the LMP1 class since 2010. Stuttgart . 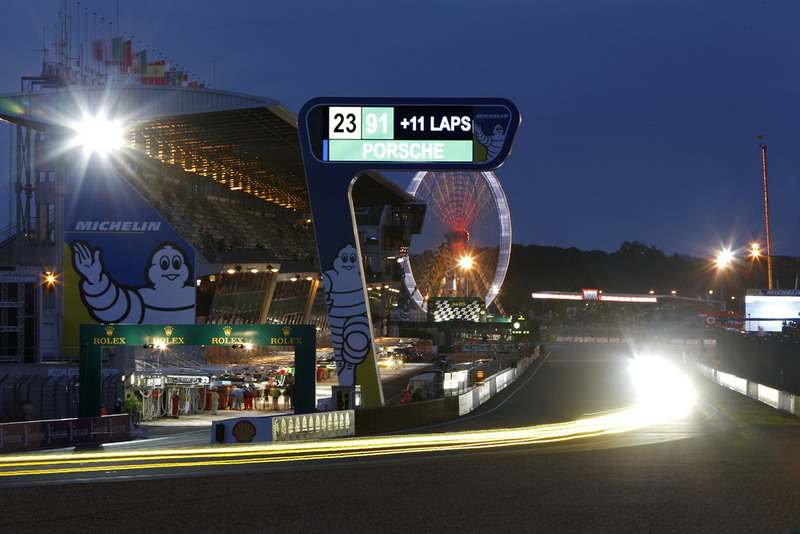 At the Le Mans 24 Hours, Porsche has further extended its record with class wins number 99 and 100 and opened a new chapter in the history of the world’s most famous long distance race. 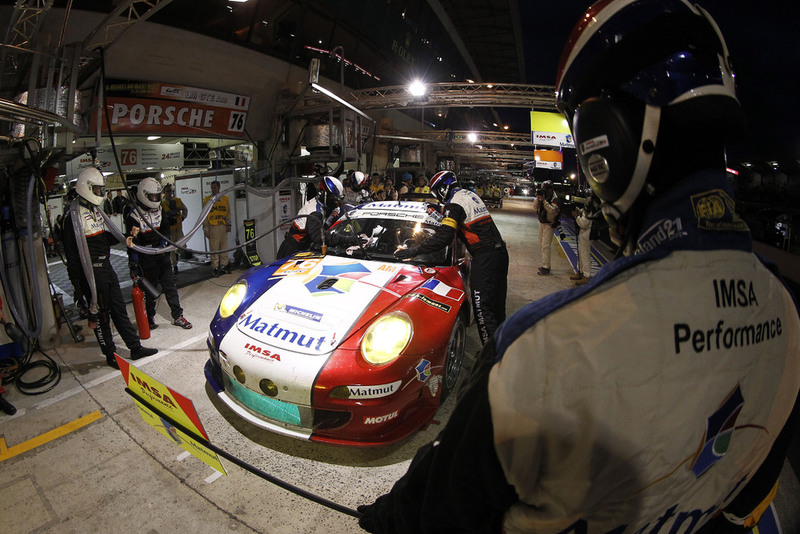 On the Circuit des 24 Heures, the new Porsche 911 RSR fielded by Porsche AG Team Manthey with Porsche works drivers Romain Dumas (France), Marc Lieb (Germany) and Richard Lietz (Austria) won the fiercely competitive GTE-Pro class against strong opposition from Aston Martin, Chevrolet, Ferrari and Viper. 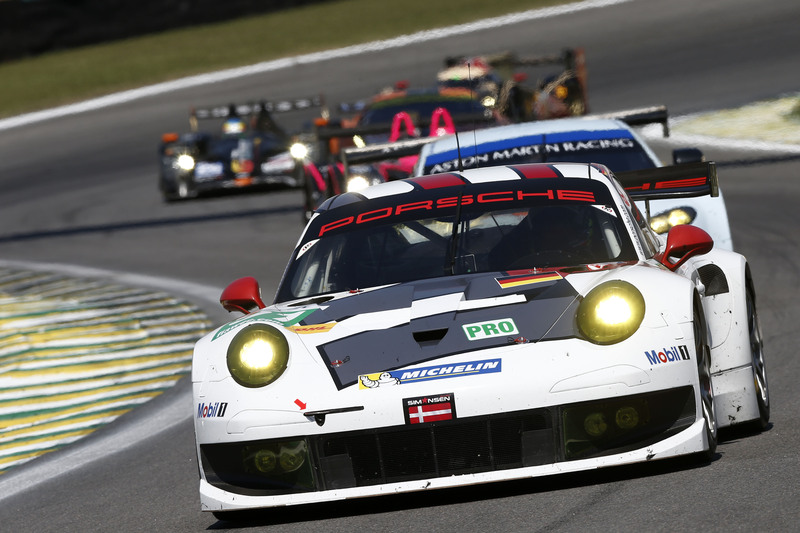 In the second 911 RSR, their works driver colleagues Joerg Bergmeister (Germany), Timo Bernhard (Germany) and Patrick Pilet (France) made the double victory for the race car from Weissach perfect. 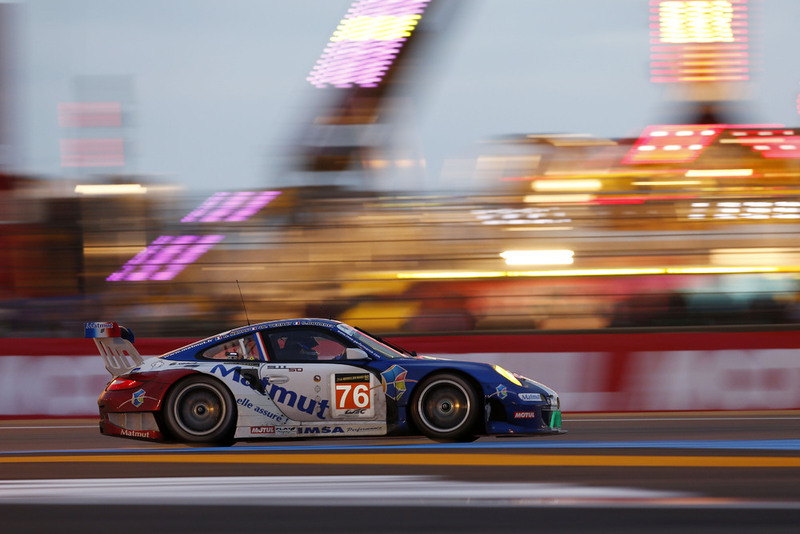 In the GTE-Am class, the Porsche 911 GT3 RSR run by the customer team IMSA Performance Matmut clinched victory with Frenchmen Raymond Narac, Jean-Karl-Vernay and Christophe Bourret. The 81st running of the long distance classic took place in changeable weather with constant showers and under the most difficult conditions. 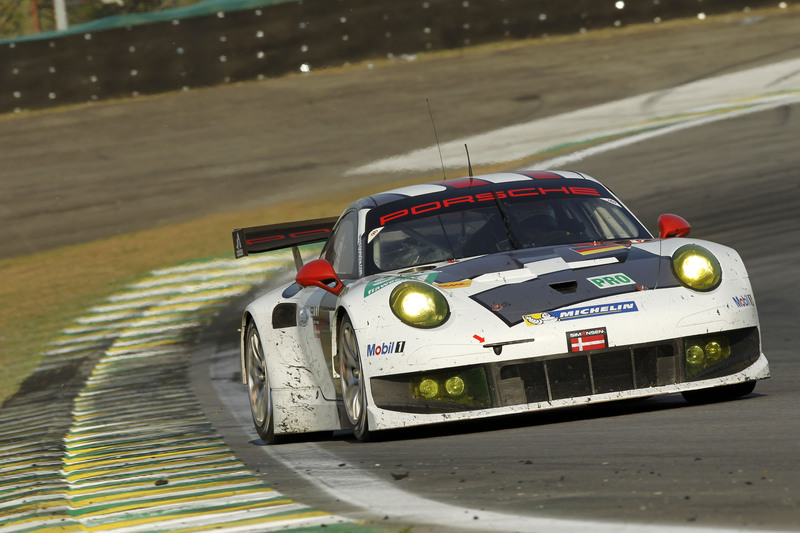 All the greater was the relief after the maiden win of the new Porsche 911 RSR. At the finish line, the Porsche AG Team Manthey squad stood united at the pit wall to give their heroes the glorious reception they deserved. 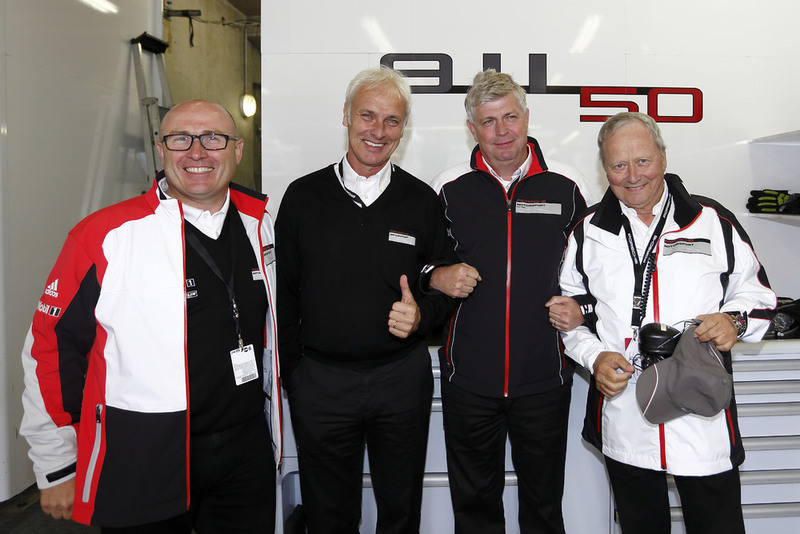 Amidst them stood Dr. Wolfgang Porsche, Chairman of the Supervisory Board at Porsche AG, CEO Matthias Müller as well as Board Members Wolfgang Hatz (Research and Development) and Bernhard Maier (Sales and Marketing) who had witnessed most of the race firsthand round-the-clock in the Porsche pits. 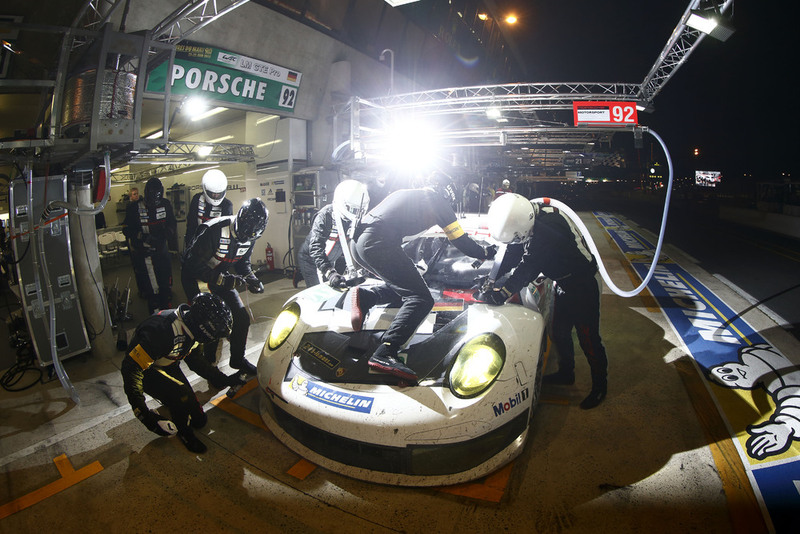 Already in the hour after the start, the 911 RSR made up positions at just its third outing in the sports car World Endurance Championship WEC, which yielded double points at Le Mans as the third round. With fast lap times and utmost reliability, the 911 with the starting number 92 in particular fought for victory right from the start. 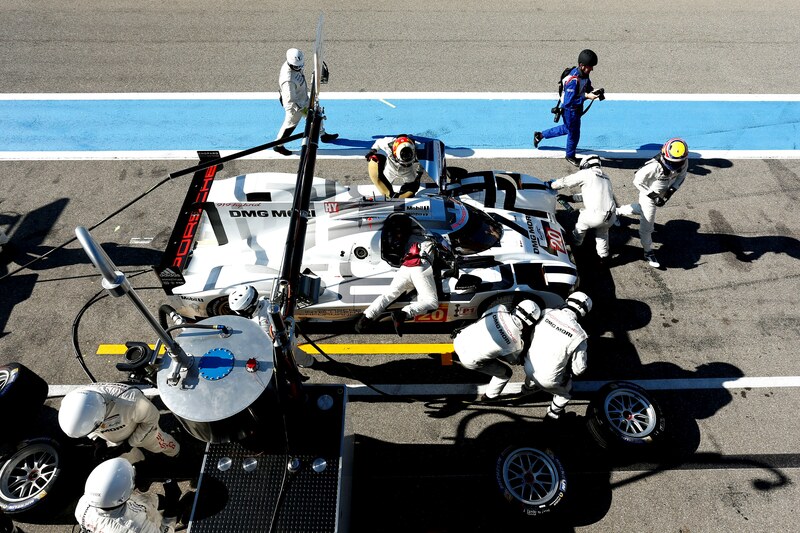 The pit stops were predominantly just routine: Refuel, tyres, driver change – then back out on the track. Both works-run Porsche completed the entire distance without the slightest technical problem, apart from a rear light that had to be replaced on the number 91 Porsche 911 RSR after being nudged by a competitor. 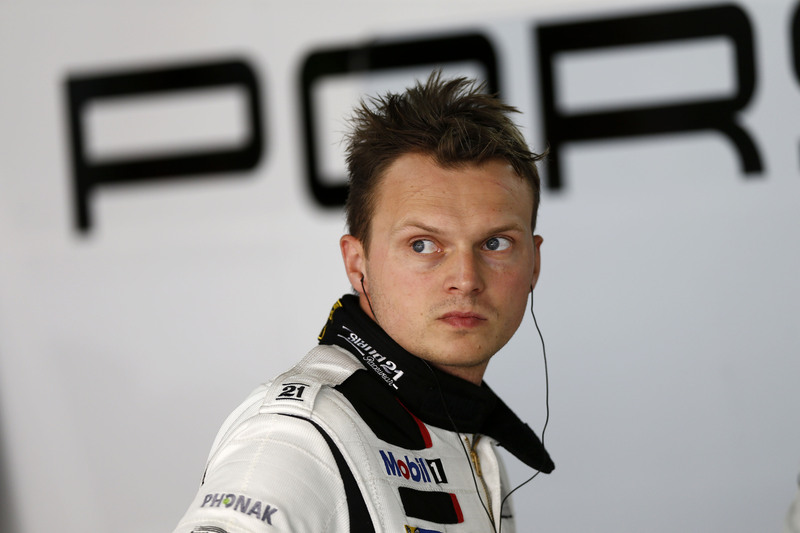 The second racer fielded by Porsche AG Team Manthey was thrown back in the field shortly after the start when the safety car was deployed right in front of Joerg Bergmeister which cost the Porsche factory pilot almost two minutes. 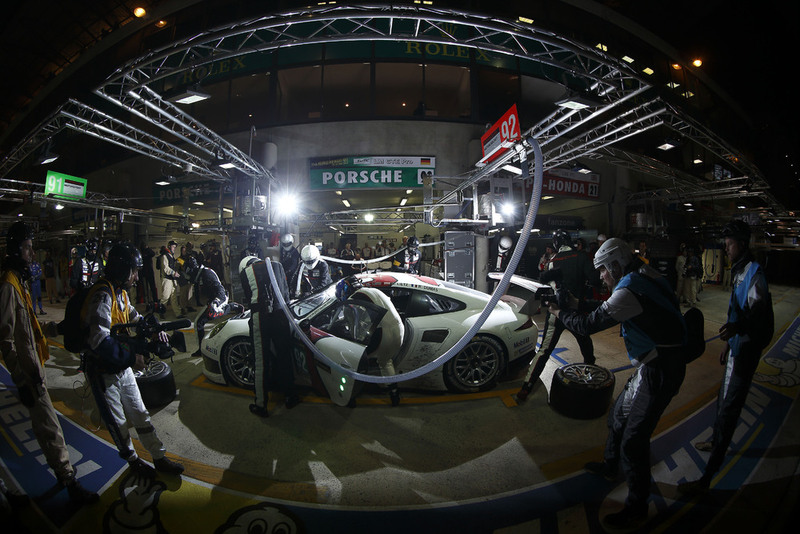 While some competitors struggled on the difficult and partly wet circuit, the 911 RSR made it safely through the night without any problems and underlined the intention to clinch its maiden victory with consistently fast lap times. Even when torrential rain fell a good hour before the finish and its pursuers launched a final attack, Richard Lietz remained unfazed at the wheel of the number 91 car. In the final race hours, the number 91 vehicle also gained ground and slipped into second place ahead of the Aston Martin and Ferrari. 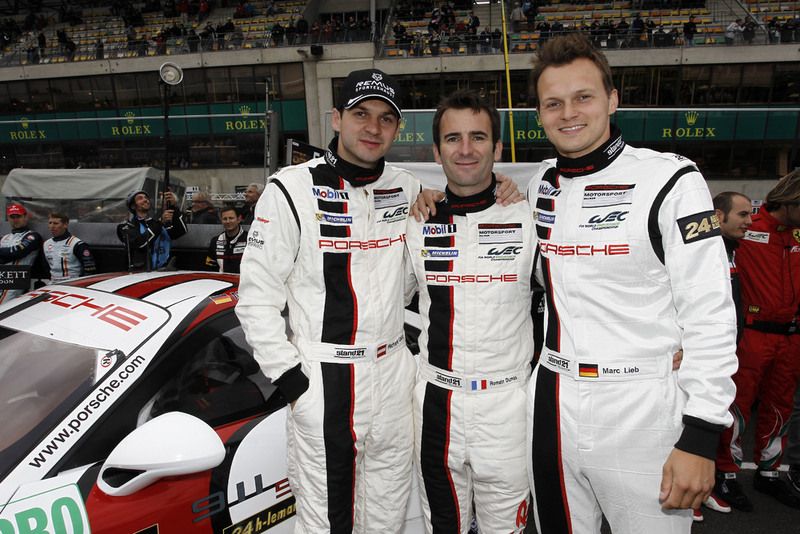 The Porsche works drivers did not let this superb double victory slip out of their hands. 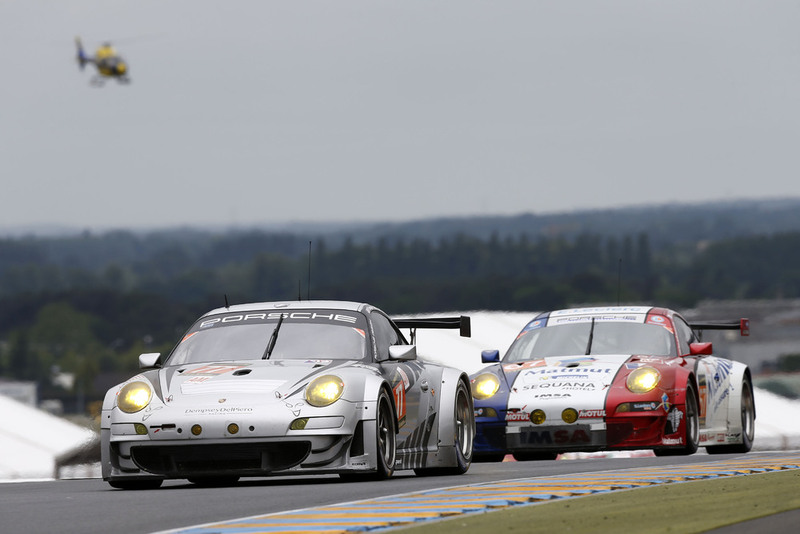 In the GTE-Am class, three Porsche 911 GT3 RSR at times ran at the front. At the flag, Raymond Narac, Christophe Bourret and Jean-Karl Vernay, who receives support from Porsche in his Porsche Mobil 1 Supercup campaign this season, brought home the victory. Especially for Jean-Karl Vernay, the winner of the 2012 International Cup Scholarship, a dream came true. 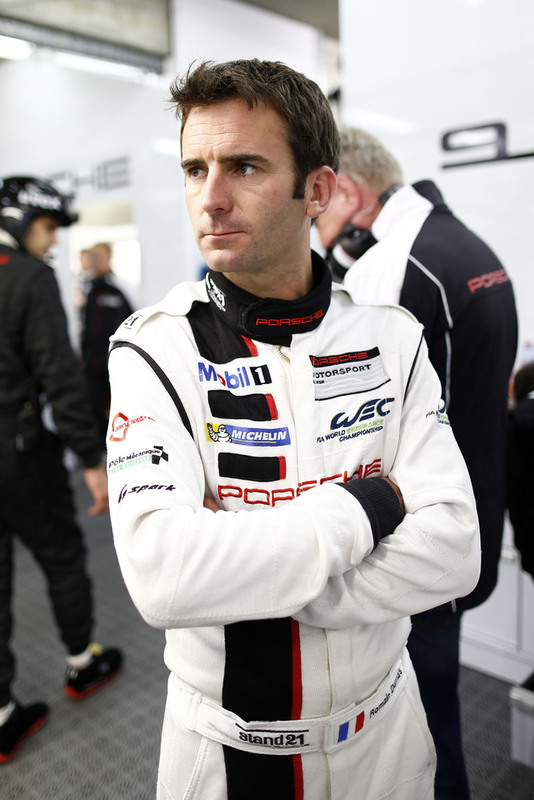 Porsche race driver Patrick Dempsey, one of an all-American driver trio helming the Dempsey Del Piero-Proton 911 GT3 RSR with Porsche works driver Patrick Long and Joe Foster, also held the lead at times. 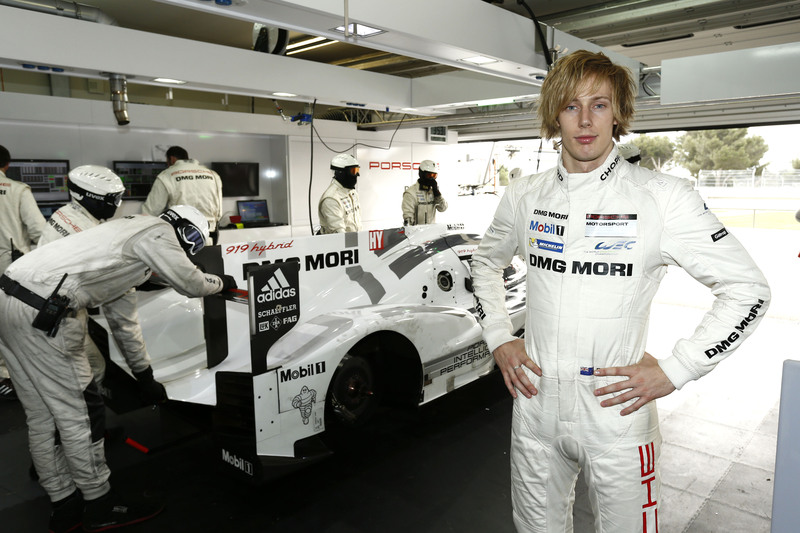 However, after he was blamelessly shunted off the circuit by a sports prototype he had to bury his dream of winning his first Le Mans outing with Porsche. 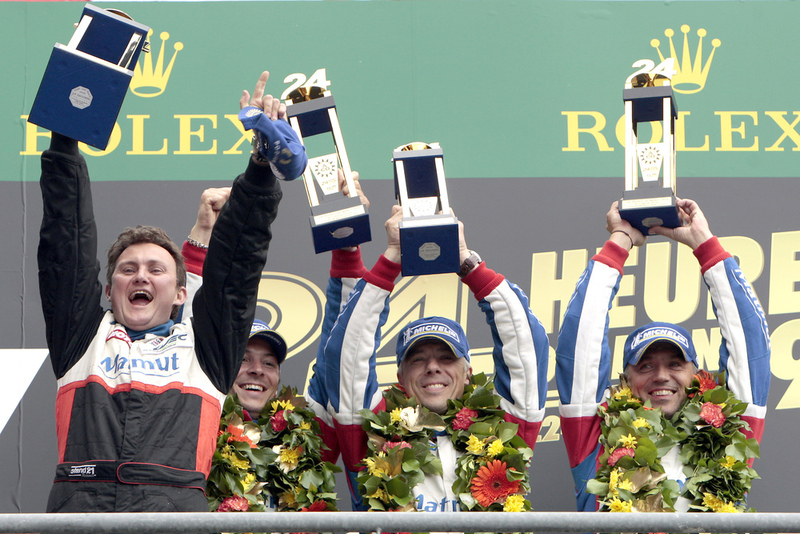 The Le Mans race was overshadowed by the death of Denmark’s Allan Simonsen. In the fourth race lap, the Aston Martin pilot crashed into the barriers in the fast Tertre Rouge corner and died from his serious injuries shortly afterwards in the Circuit des 24 Heures Medical Centre. 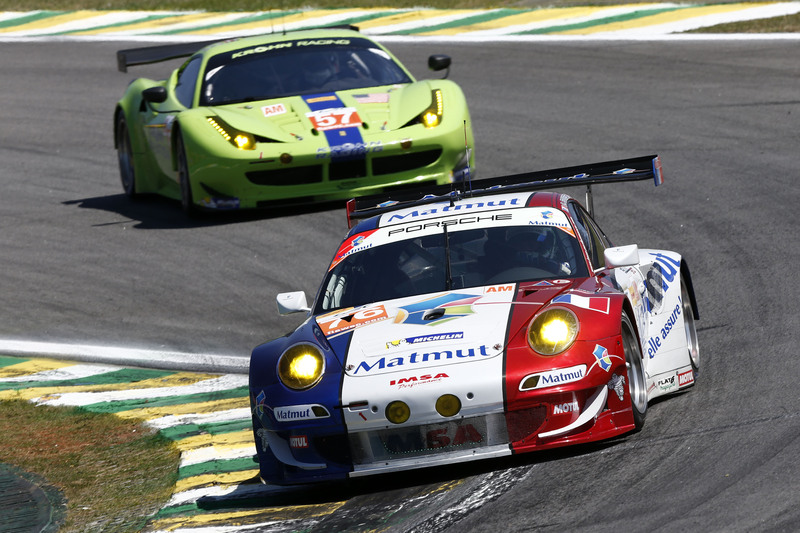 Round four of the sports car World Endurance Championship takes place on 1 September in Sao Paulo/Brazil. 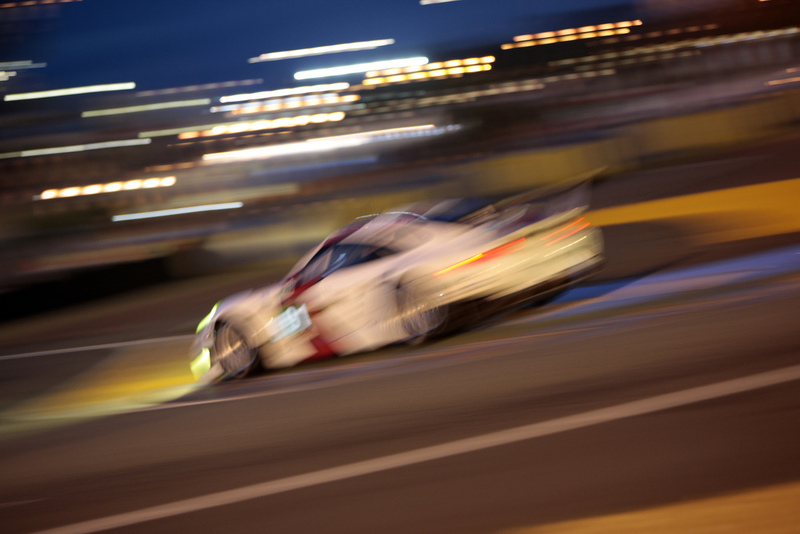 Please note: Photo material from the Le Mans 24 Hours and the sports car World Endurance Championship WEC is available for accredited journalists from the Porsche Press Database under the internet address http://presse.porsche.de. 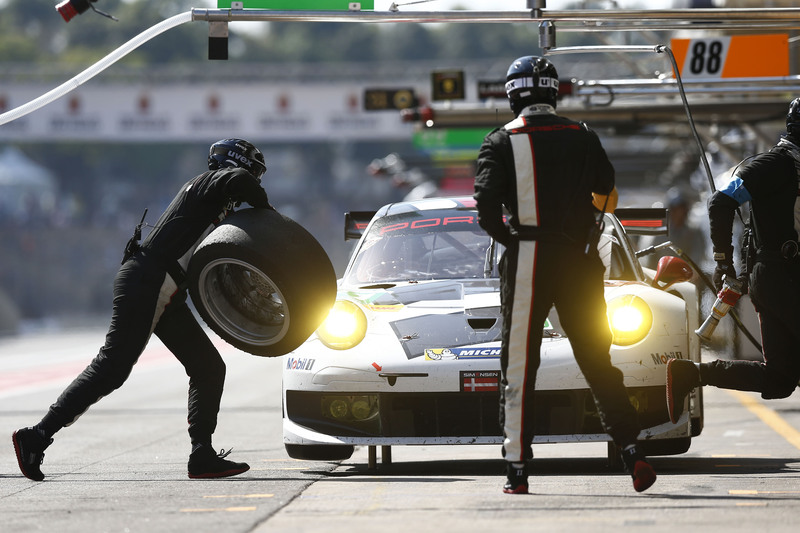 On this website you can also activate the Porsche Motorsport SMS Info Service to receive the latest news and information from race tracks around the world via text messages. 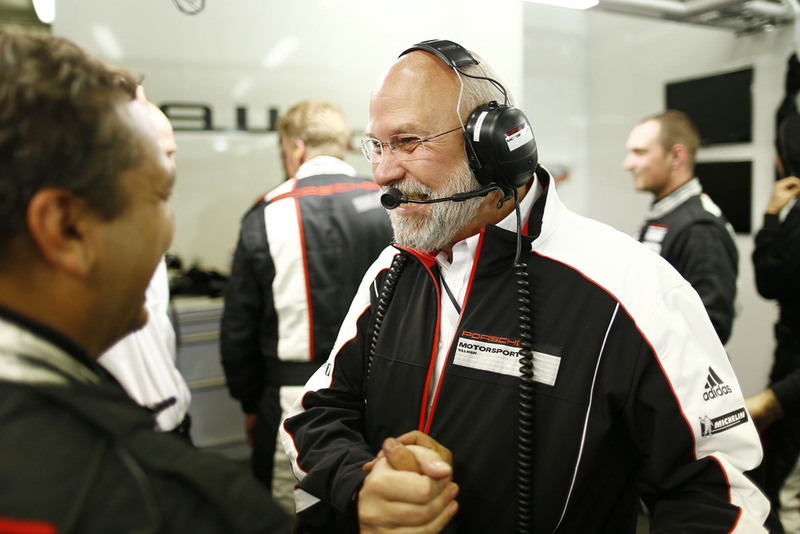 On the internet address http://presse.porsche.de/motorsport journalists have access to the new digital Porsche Motorsport Media Guide 2013. Stuttgart. 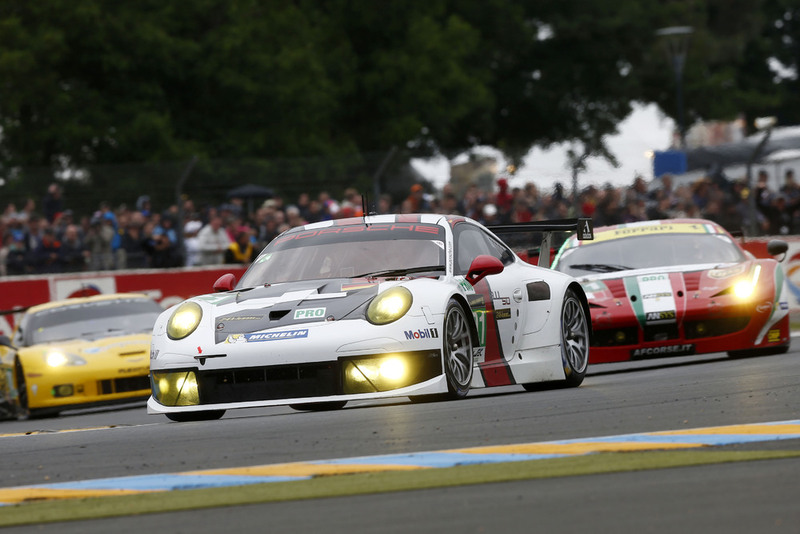 At the Le Mans 24 Hours, Porsche won the fiercely-competitive GT classes. 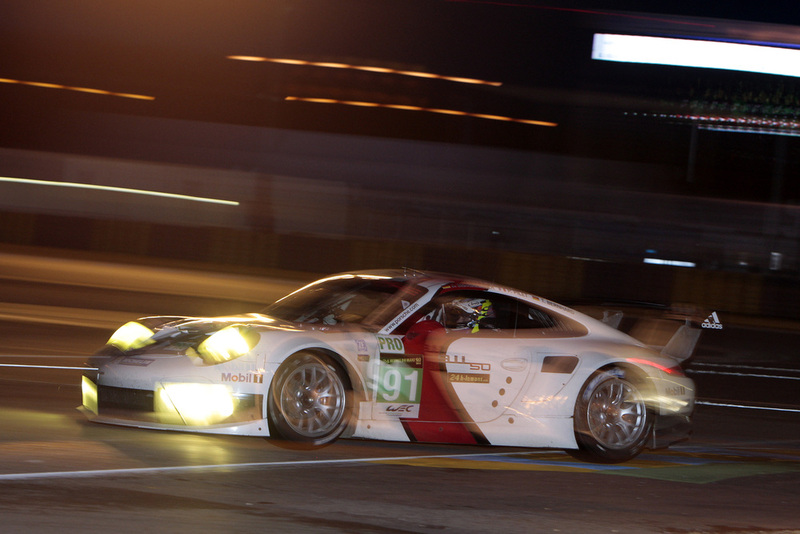 This is the class victories number 99 and 100 for Porsche at the world’s most famous long distance race. 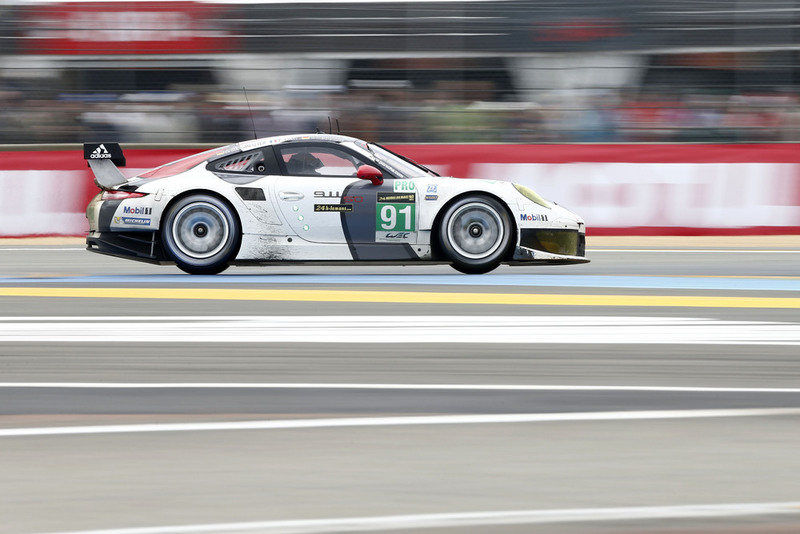 The new Porsche 911 RSR fielded by Porsche AG Team Manthey with Porsche works drivers Romain Dumas (France), Marc Lieb (Germany) and Richard Lietz (Austria) won the GTE-Pro class. 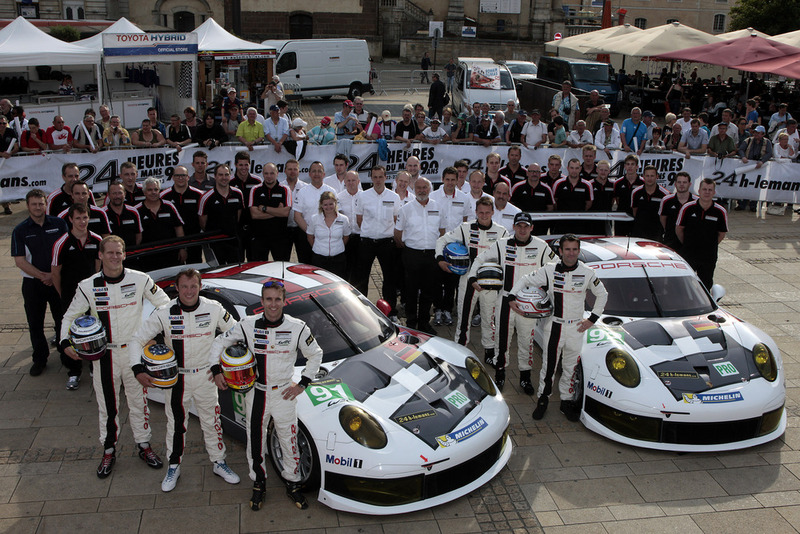 From three races this was the first victory for the race car from Weissach. 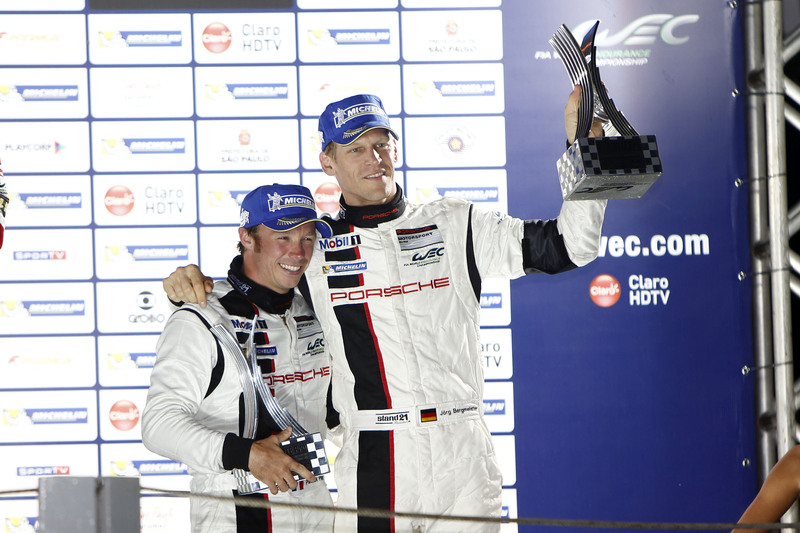 With the second 911 RSR, their works driver colleagues Joerg Bergmeister (Germany), Timo Bernhard (Germany) and Patrick Pilet (France) made the double victory for Porsche perfect. 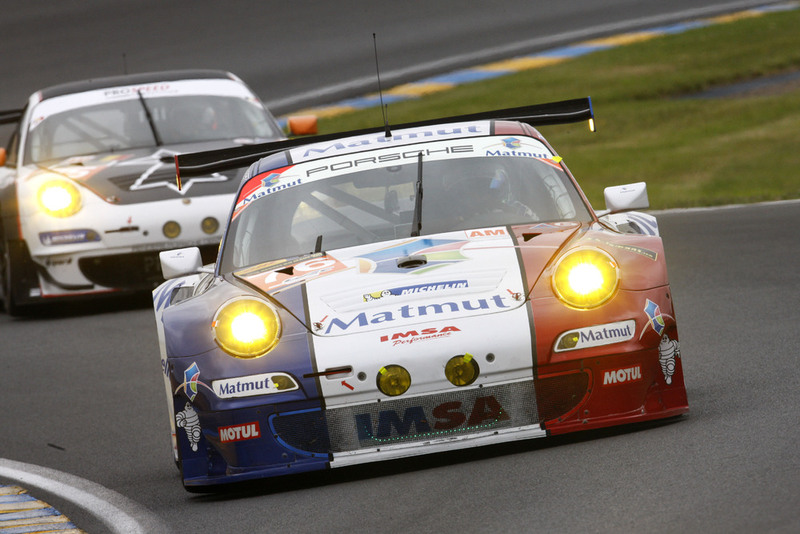 In the GTE-Am class, the Porsche 911 GT3 RSR run by the IMSA Performance Matmut squad with Frenchmen Raymond Narac, Jean-Karl Vernay and Christophe Bourret scored victory. Stuttgart. 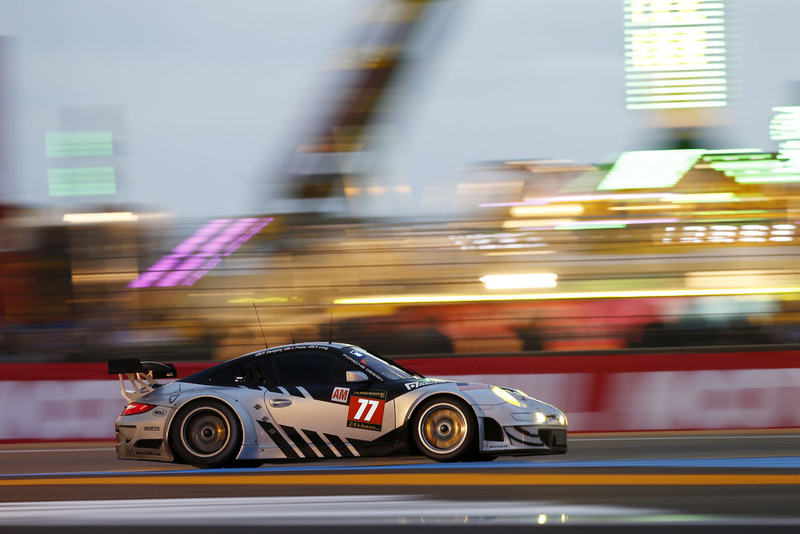 At the Le Mans 24 Hours, the fight for victory in the strongly-represented GT classes is looking promising for Porsche teams after the first third of the race. 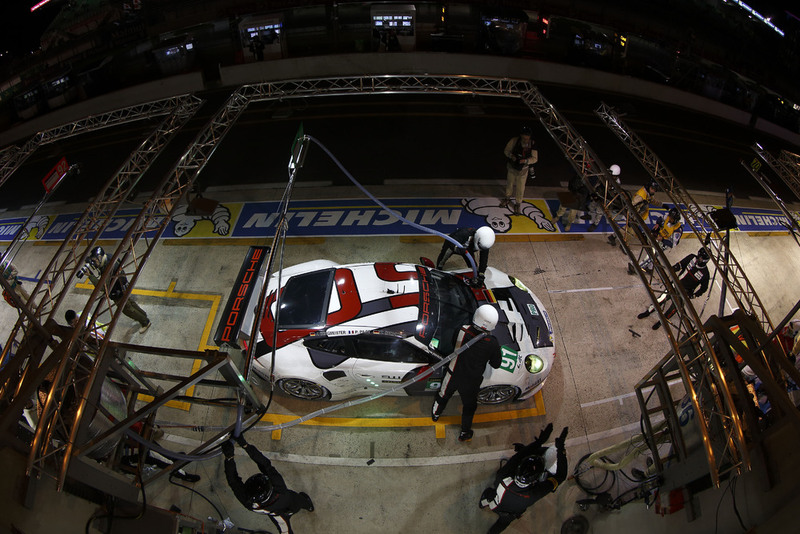 In the GTE-Pro class, the Porsche 911 RSR with the starting number 92 was running third at its Le Mans debut shortly before midnight. 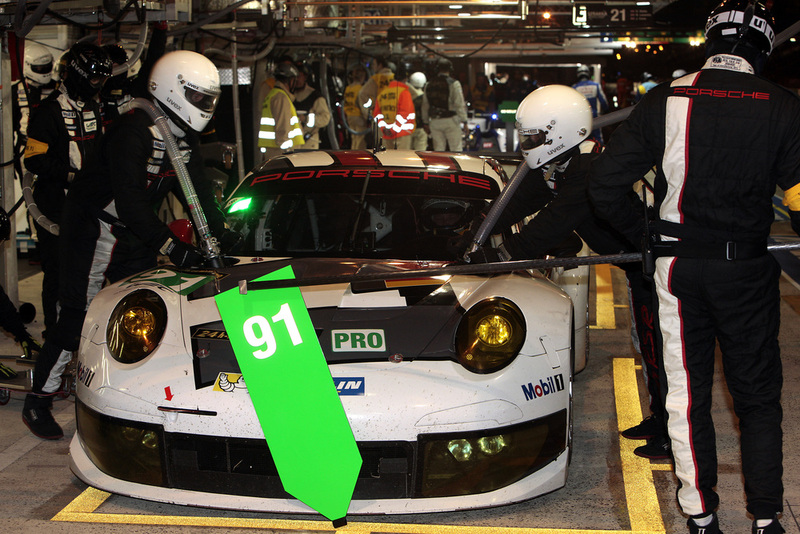 The sister 911 RSR with the starting number 91, also run by Porsche AG Team Manthey, is sitting in fourth. 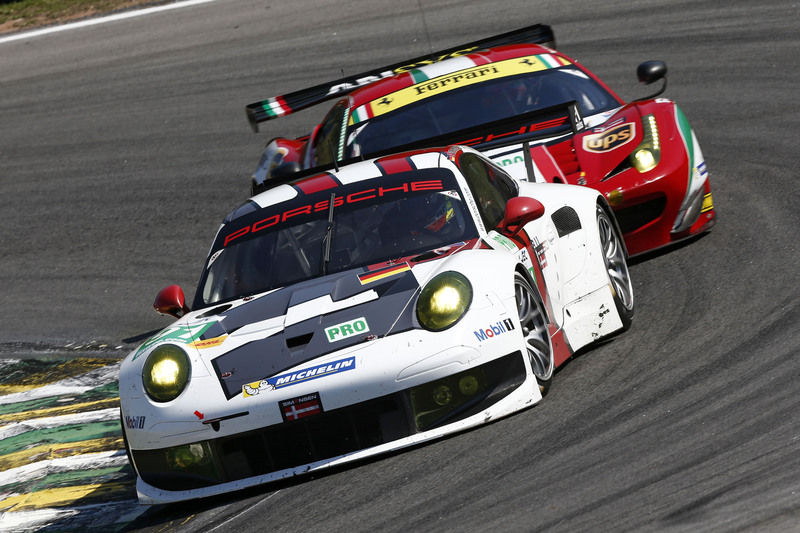 The Porsche 911 GT3 RSR fielded by Dempsey Del Piero-Proton leads the GTE-Am class. 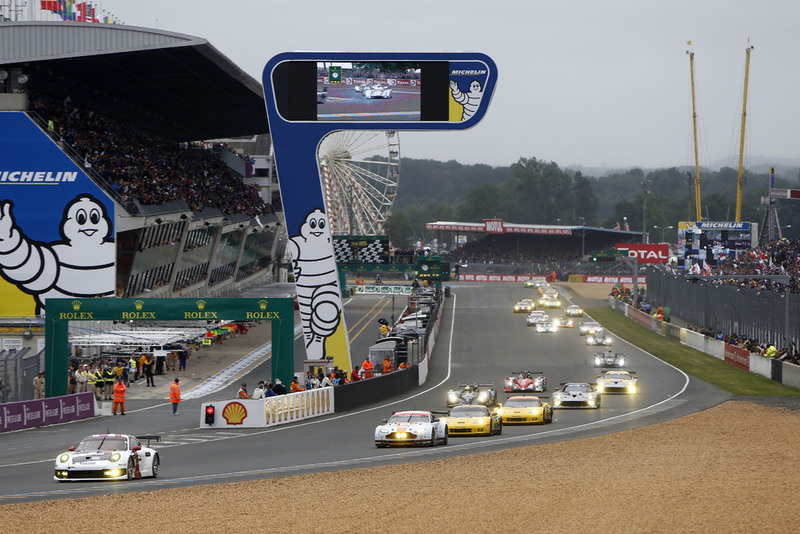 On the Circuit des 24 Heures, 56 vehicles took off at 15.00 hours into the 81st running of the world’s most famous long distance race. 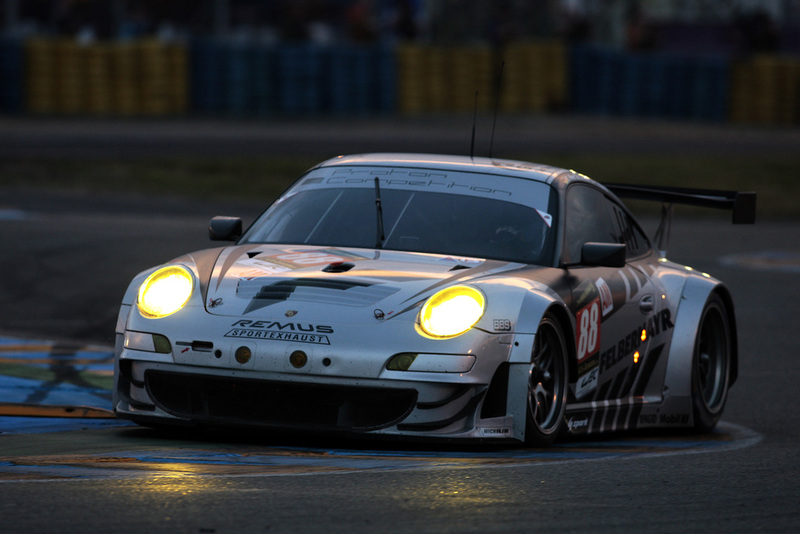 In the very first race hour, with a long caution period due to an accident, Porsche works driver Marc Lieb (Germany) moved up into second place in the number 92 Porsche 911 RSR. After one and a half hours he even seized the lead until the first pit stop. He and his teammates Romain Dumas (France) and Richard Lietz (Austria) were locked in battle with the Aston Martin for the front spot. 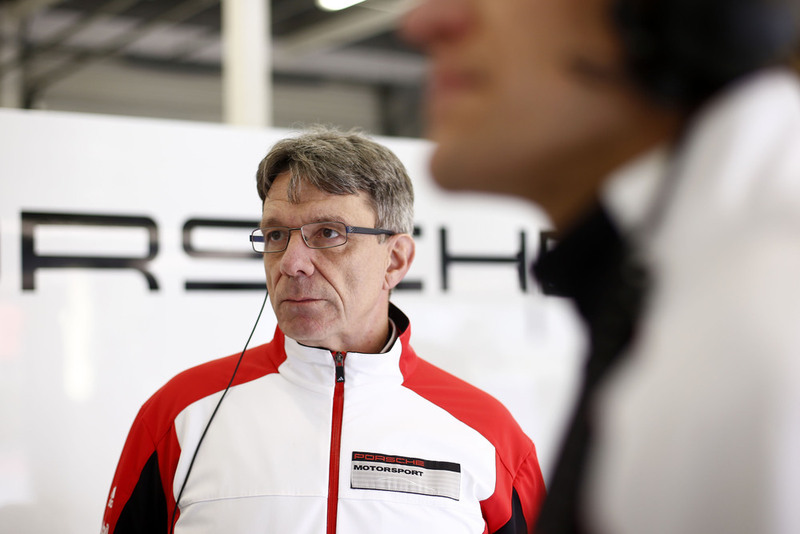 In the second 911 RSR with the starting number 91, Porsche works driver Joerg Bergmeister (Germany) made up three places, only to lose more than one minute through a safety car phase. 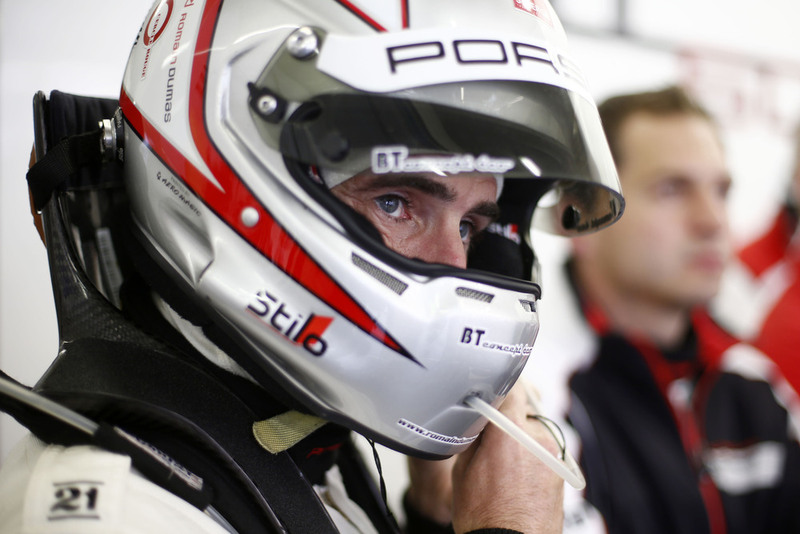 Nevertheless, after nine hours of racing, he and his teammates Timo Bernhard (Germany) and Patrick Pilet (France) are still within striking distance of the front-runners. 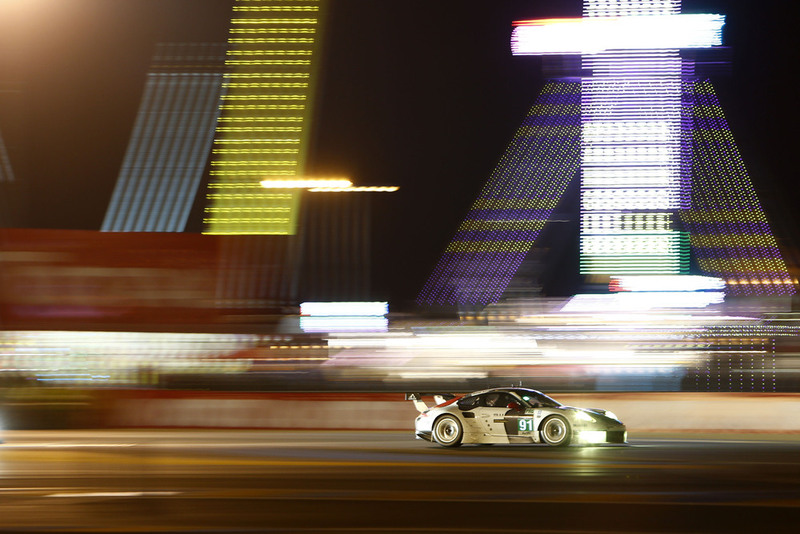 In the GTE-Am class, three Porsche 911 GT3 RSR are in the lead just after midnight. Trailing the leading 911 fielded by the customer team Dempsey Del Piero-Proton with an all-American driver line-up of Hollywood star Patrick Dempsey (“Grey’s Anatomy”), Porsche factory pilot Patrick Long as well as Joe Foster, are Christian Ried (Germany) and his Italian teammates Paolo Ruberti and Gianluca Roda in the 911 GT3 RSR run by Proton Competition. Running third are the Frenchmen Raymond Narac, Jean-Karl Vernay and Christophe Bourret competing for the IMSA Performance Matmut squad. 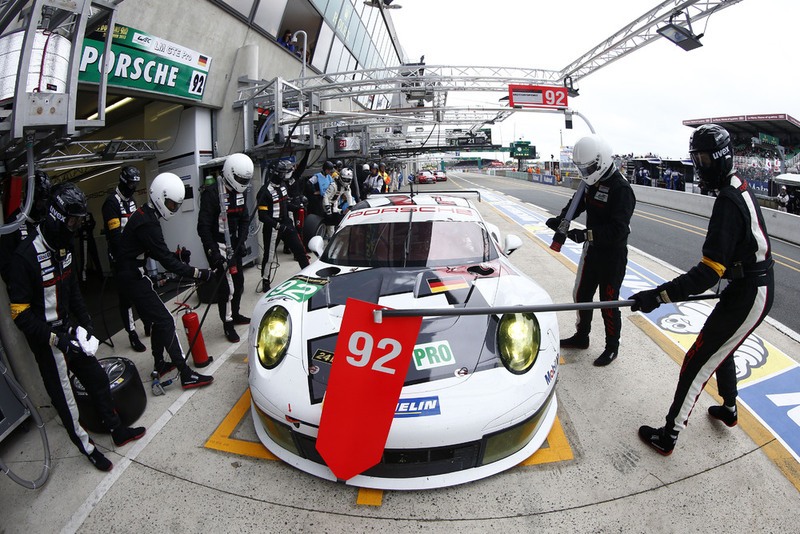 Porsche works drivers Romain Dumas (France), Marc Lieb (Germany) and Richard Lietz (Austria) improved their time in the last lap and planted the #92 Porsche 911 RSR on third place. 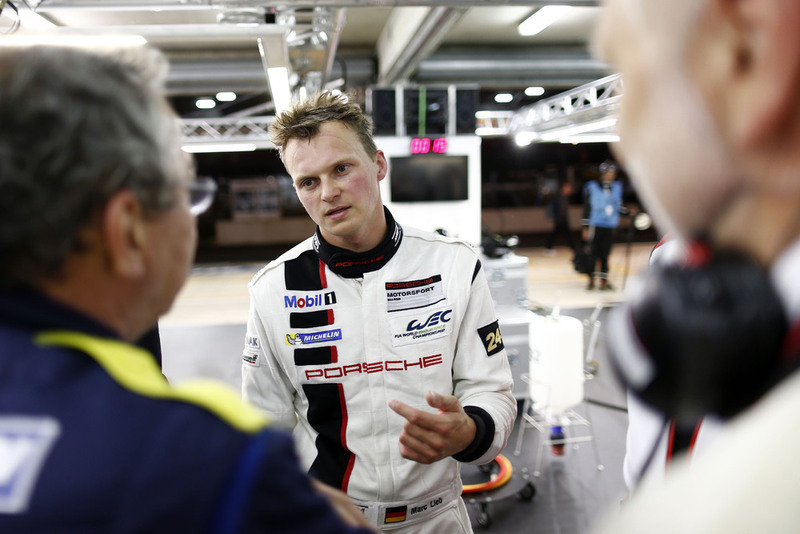 Their factory pilot colleagues Joerg Bergmeister (Germany), Timo Bernhard (Germany) and Patrick Pilet (France) concluded the qualifying in seventh at the wheel of the number 91 vehicle. 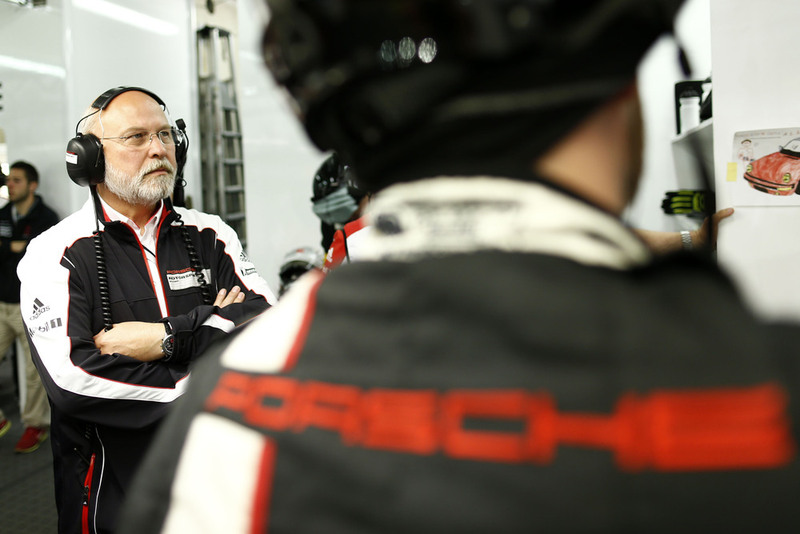 Both 911 RSR are fielded by Porsche AG Team Manthey. 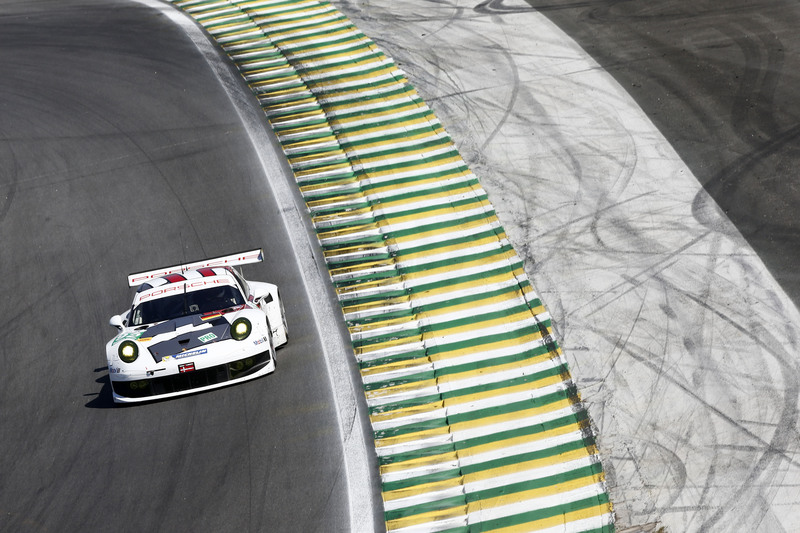 As the best Porsche in the GTE-Am class, the 911 GT3 RSR of the Proton Competition team in which Christian Ried (Germany) shares driving duties with his Italian teammates Gianluca Roda and Paolo Ruberti, achieved the second quickest time. Hollywood star Patrick Dempsey (“Grey’s Anatomy”) starts from seventh on the grid with support from Porsche works driver Patrick Long and Joe Foster (all USA). 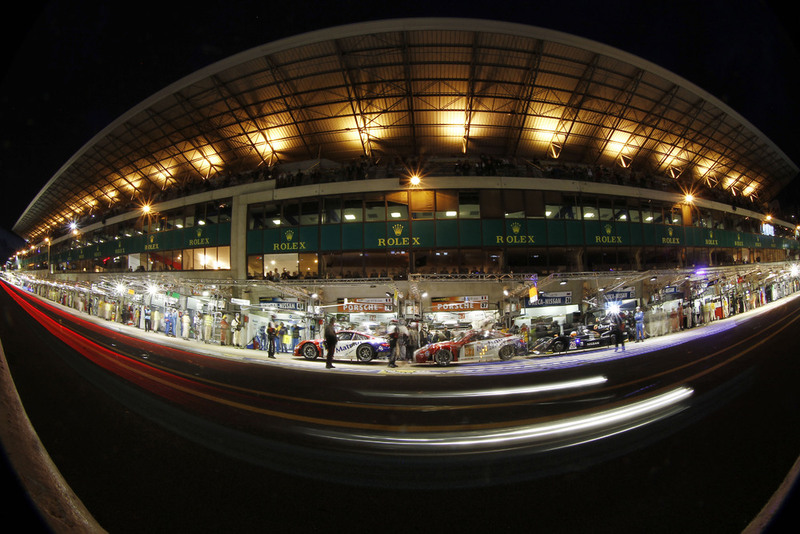 The Le Mans 24 Hours takes off of Saturday at 15.00 hours. Eurosport broadcasts the entire race live on its channels Eurosport International and Eurosport 2. 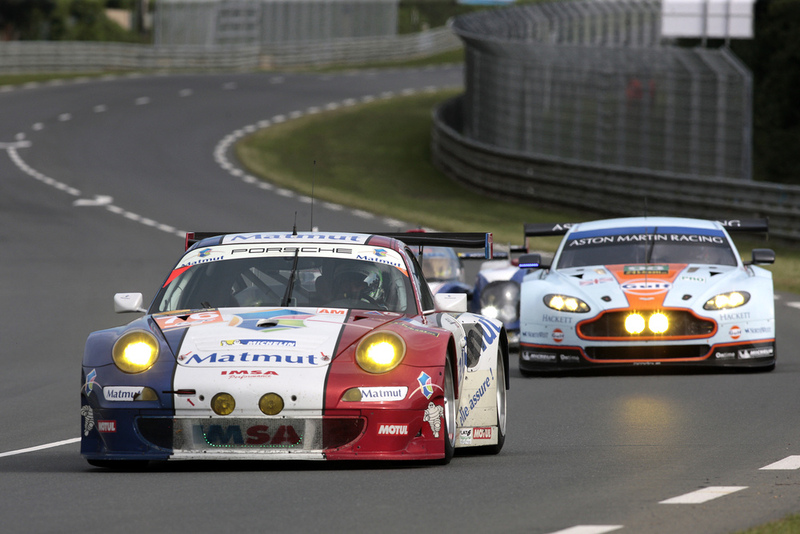 On the internet, the long distance classic can be followed live on http://www.fiawec.com. 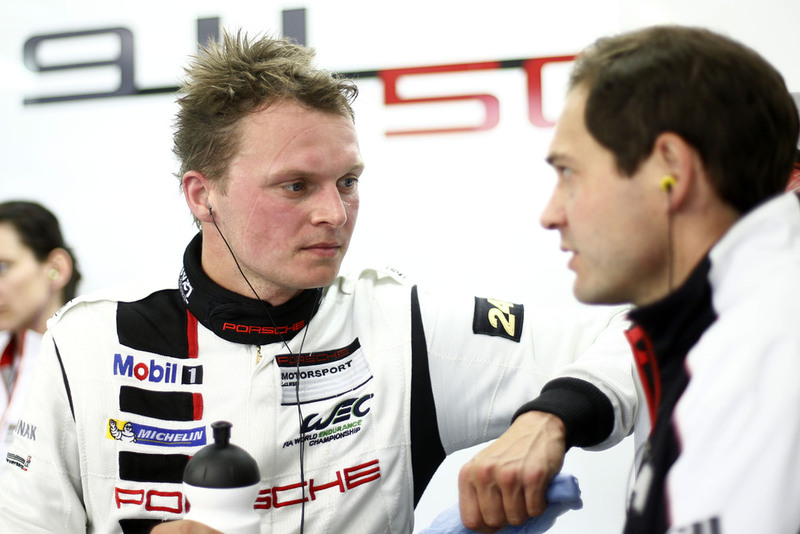 “I spent about an hour at the wheel and was able to get used to the difficult conditions. The track was almost dry towards the end, only slightly damp in the second chicane. There I had to be careful on the brakes. Our car’s balance is good, not yet perfect, but we have definitely made great progress. 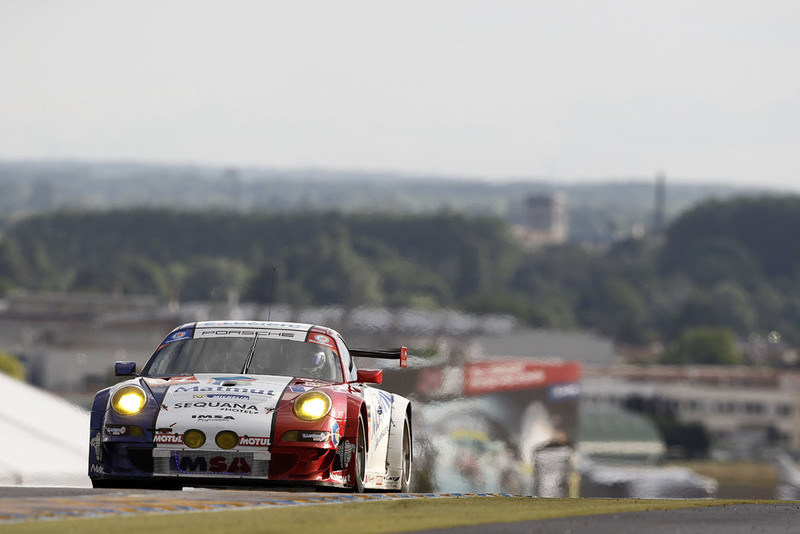 “A good grid position in Le Mans is a matter of prestige, even if it doesn’t play a major role in the race. But when you come with a new car, like us, you naturally want to be as far up the front as possible, so we are delighted with third place.